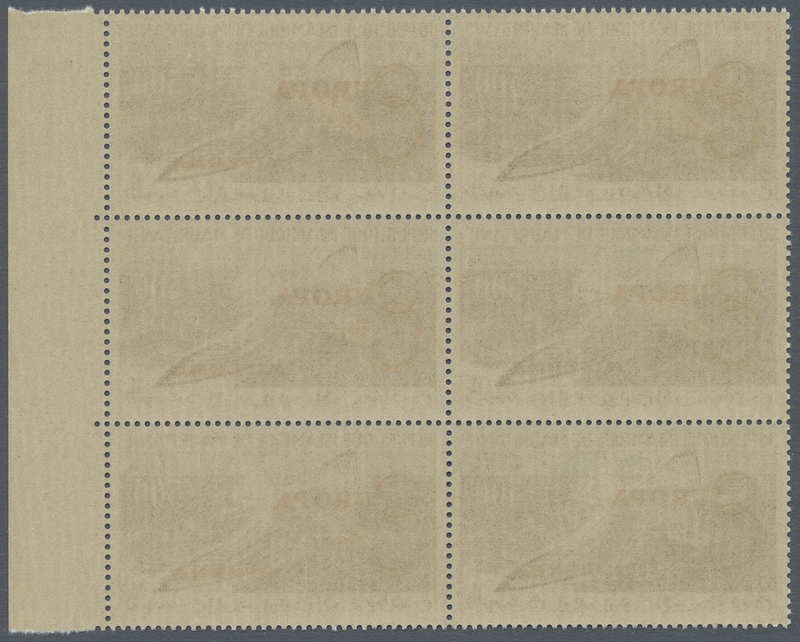 12267 ungebraucht ohne Gummi (unused without gum) (*) 268/72 1947, Airmails, two epreuve collective in issued colours: 9fr./40fr./50fr. 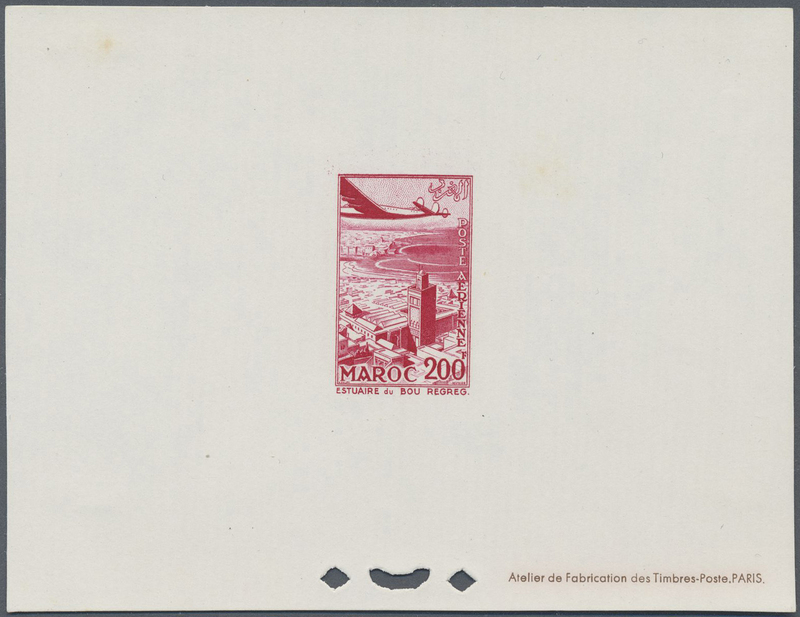 and 100fr./200fr. 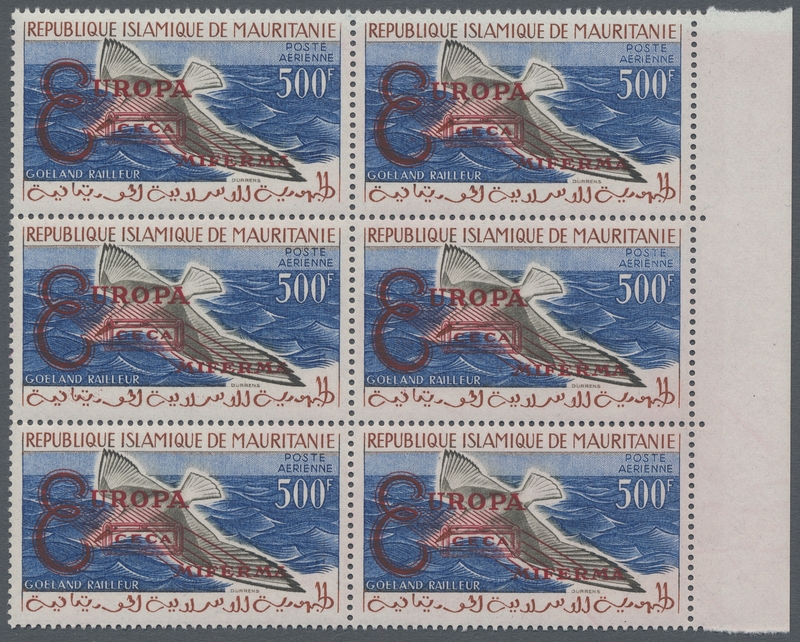 Rare and attractive! 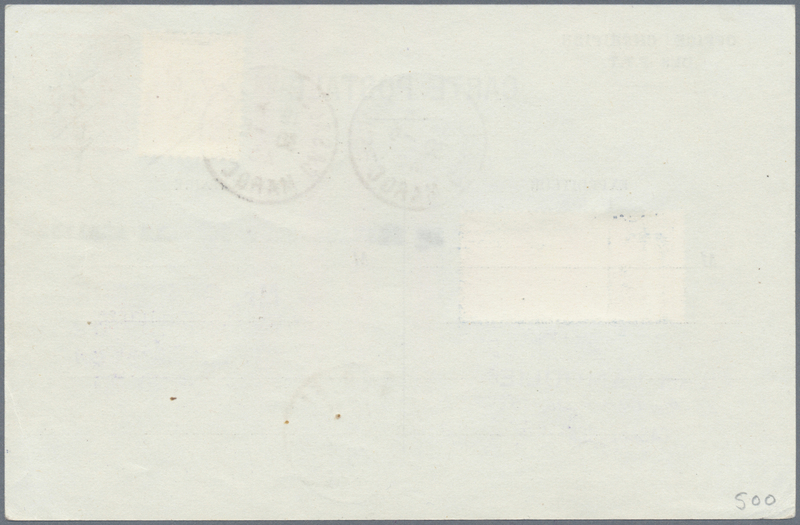 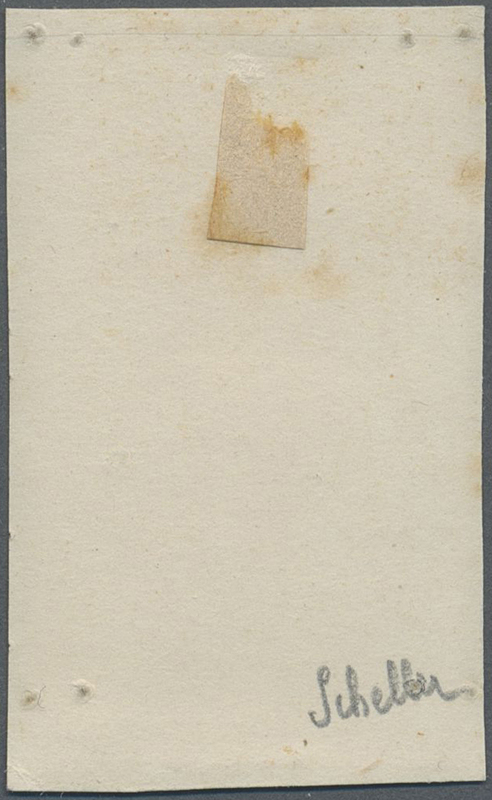 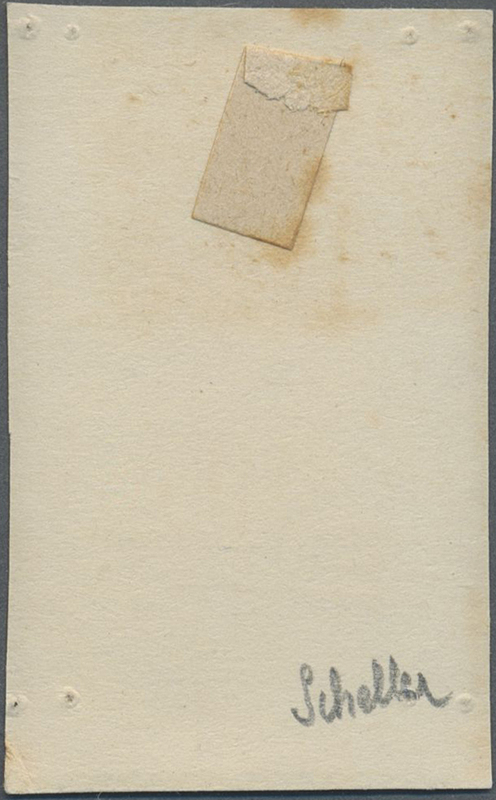 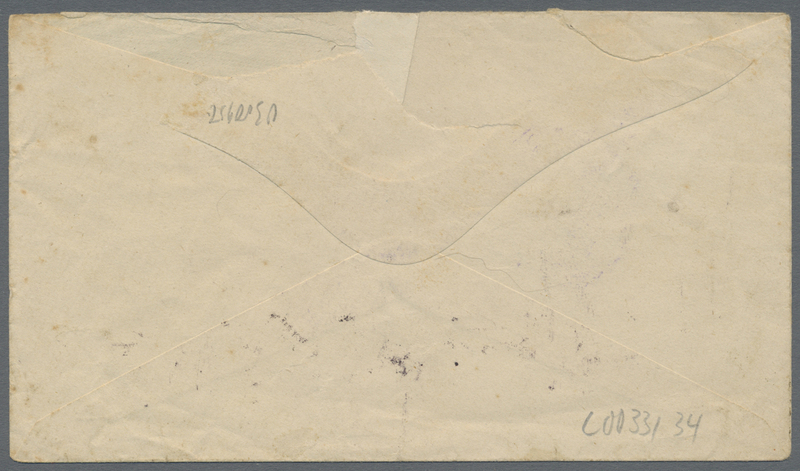 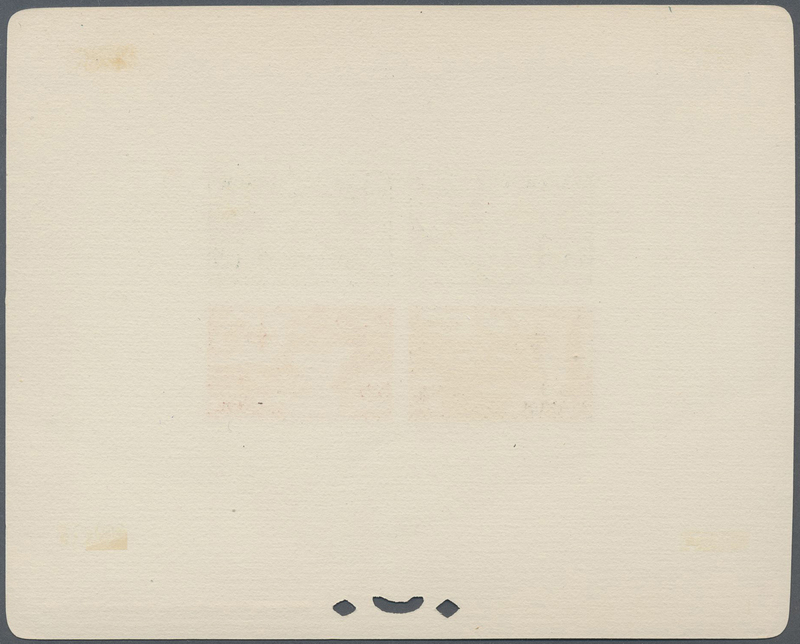 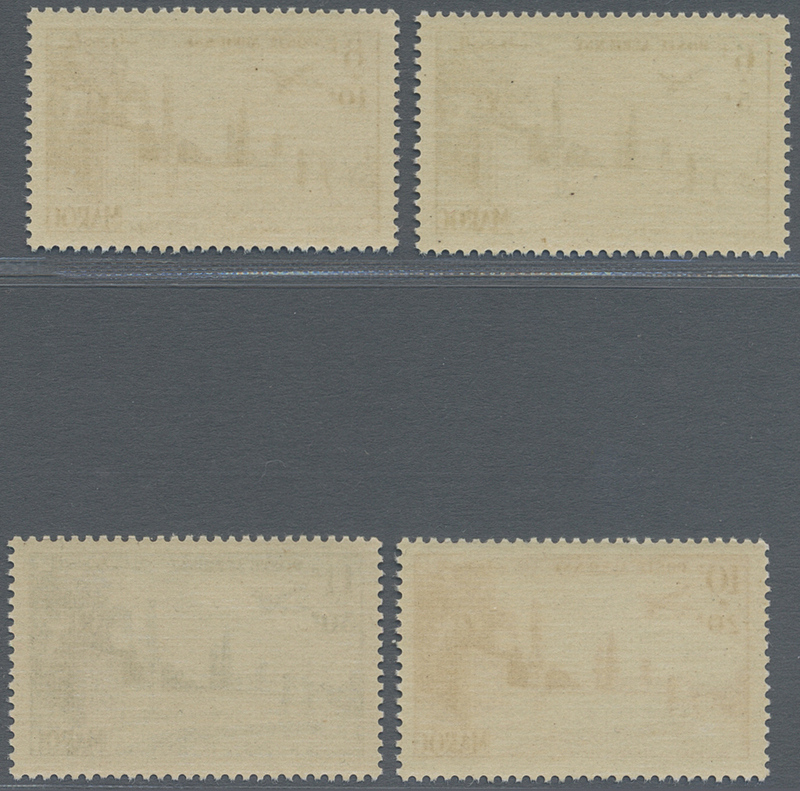 Maury PA 60/62, PA 63/64. 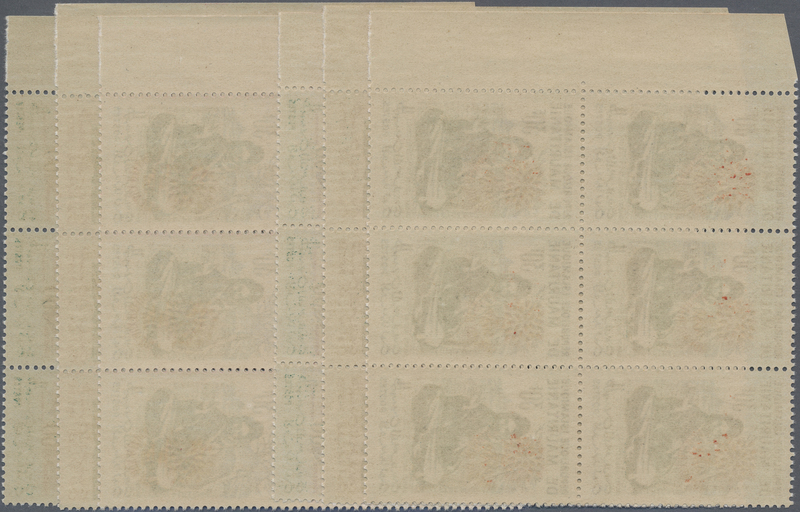 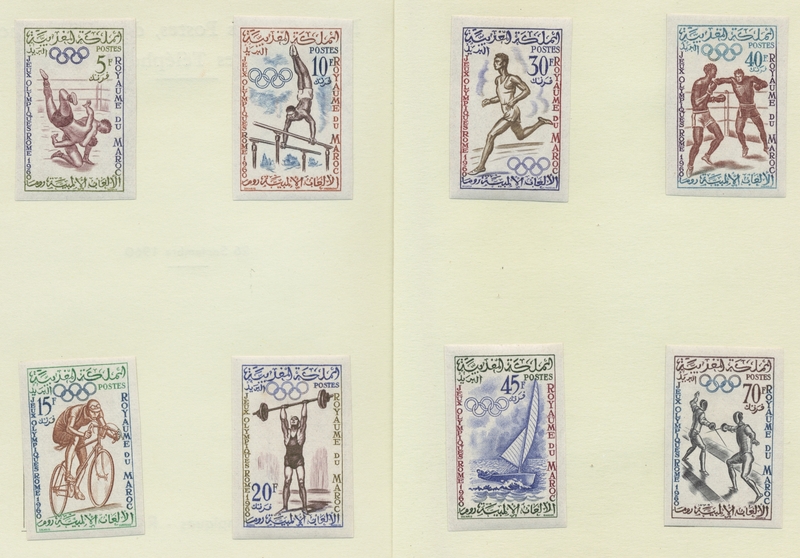 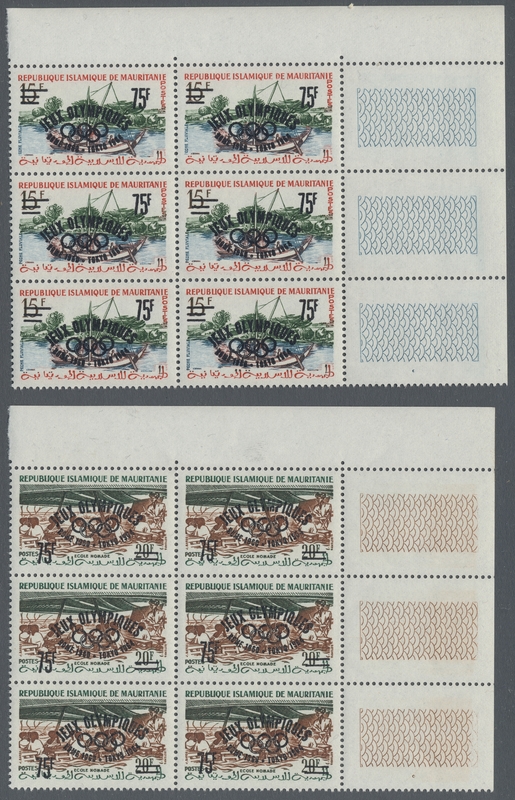 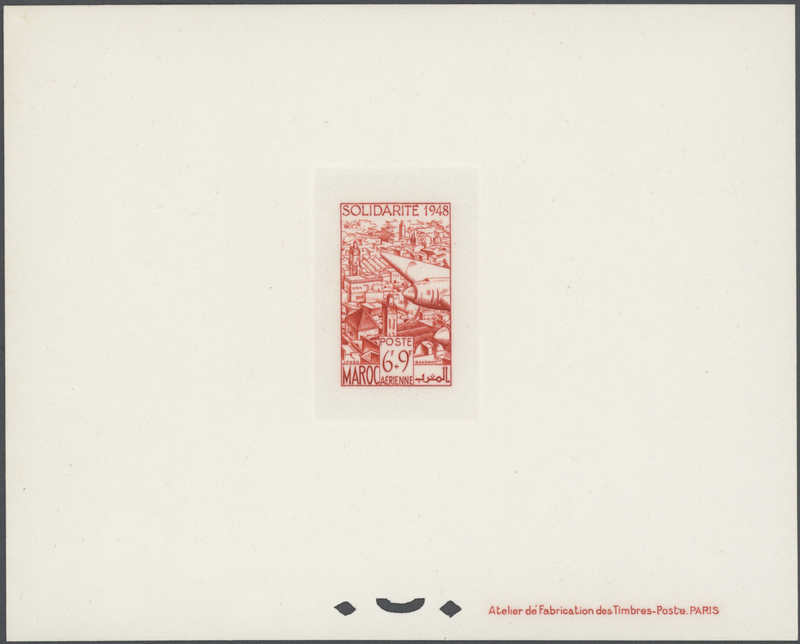 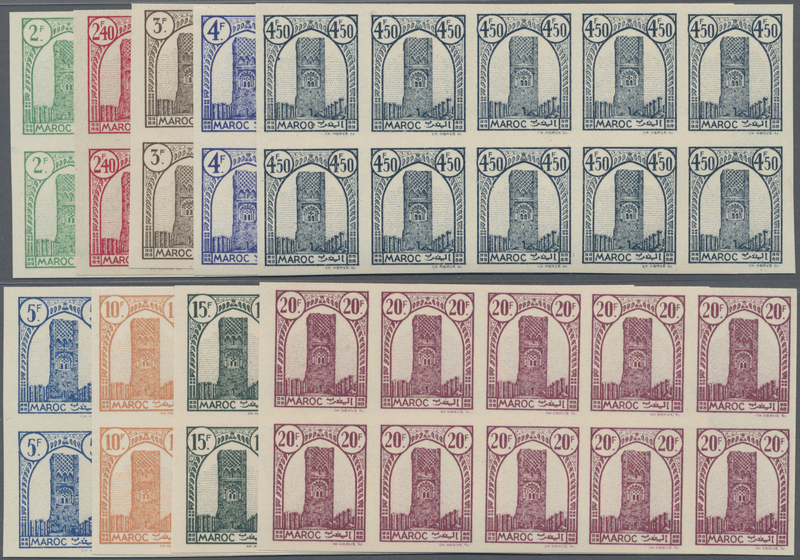 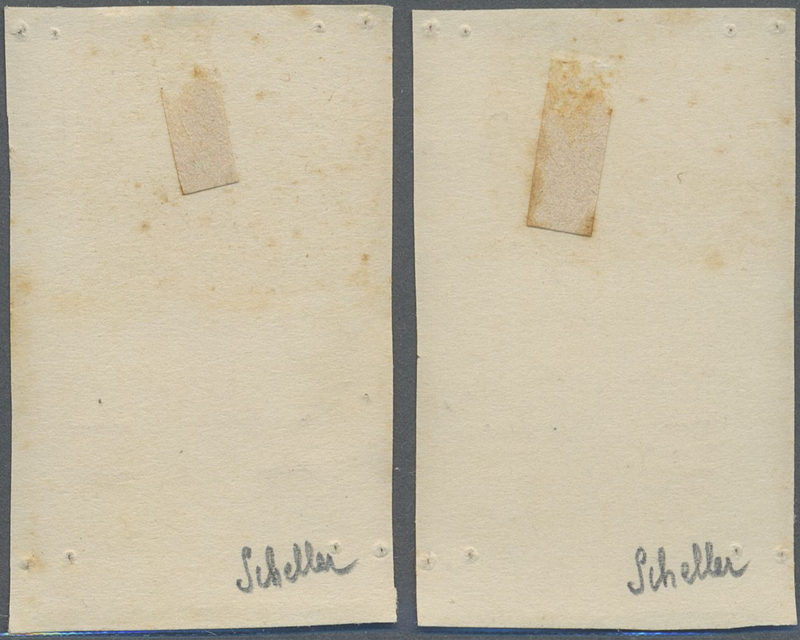 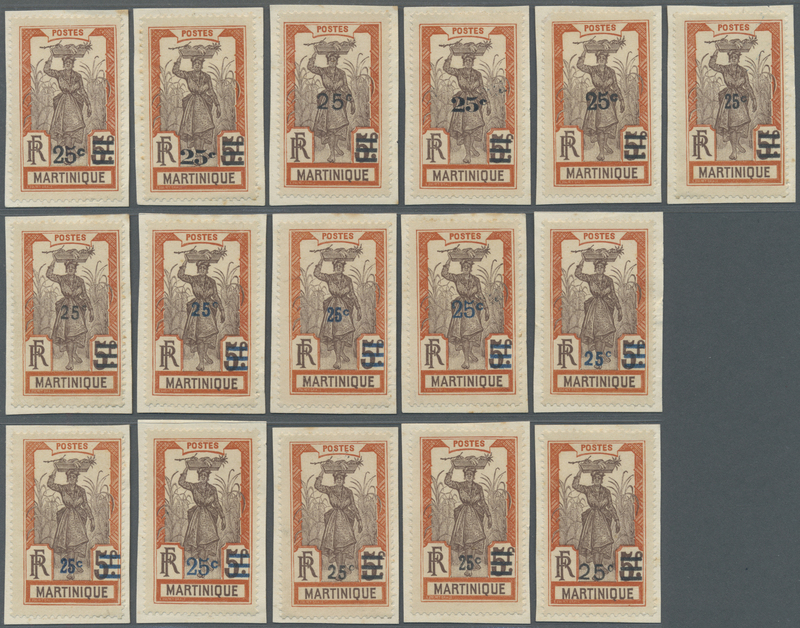 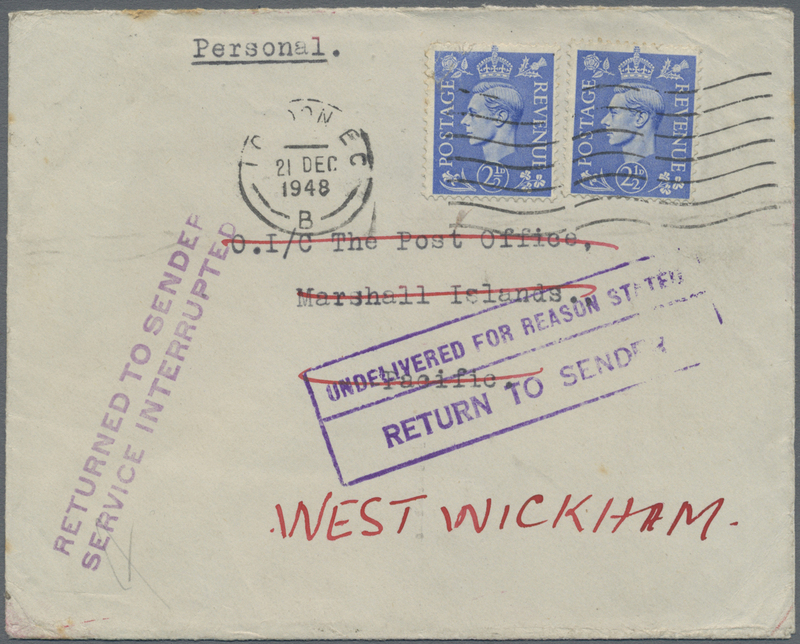 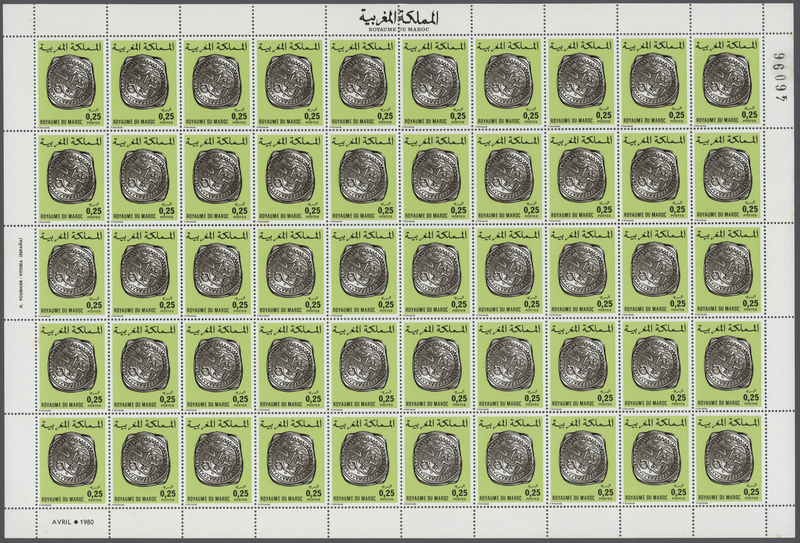 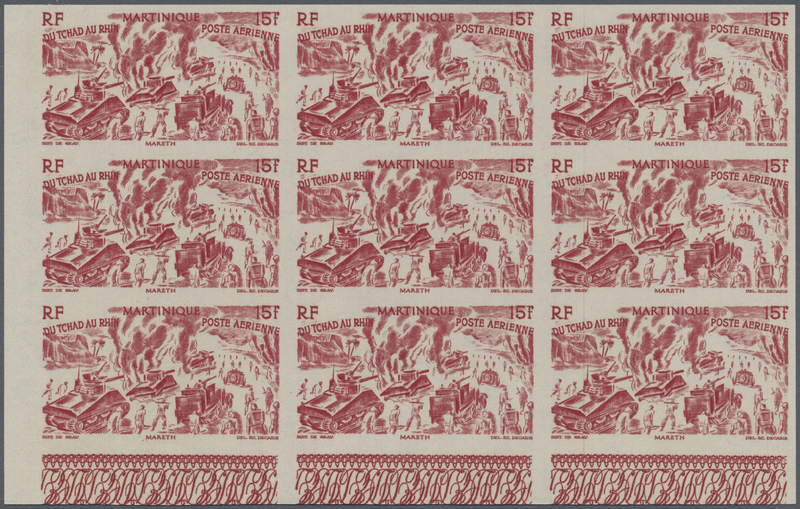 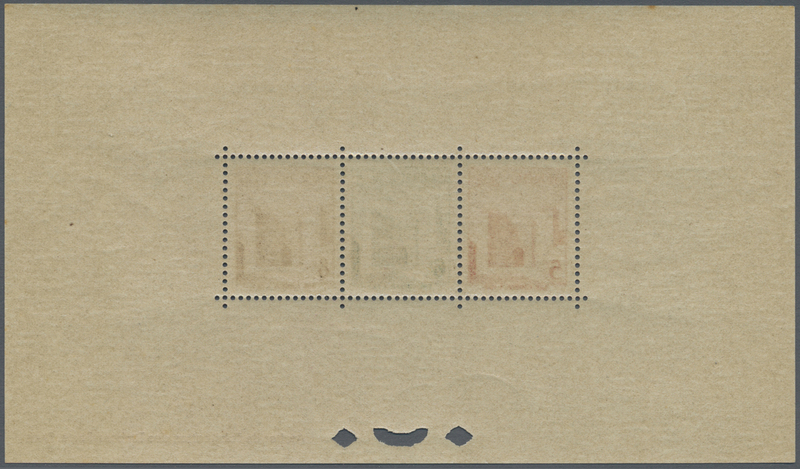 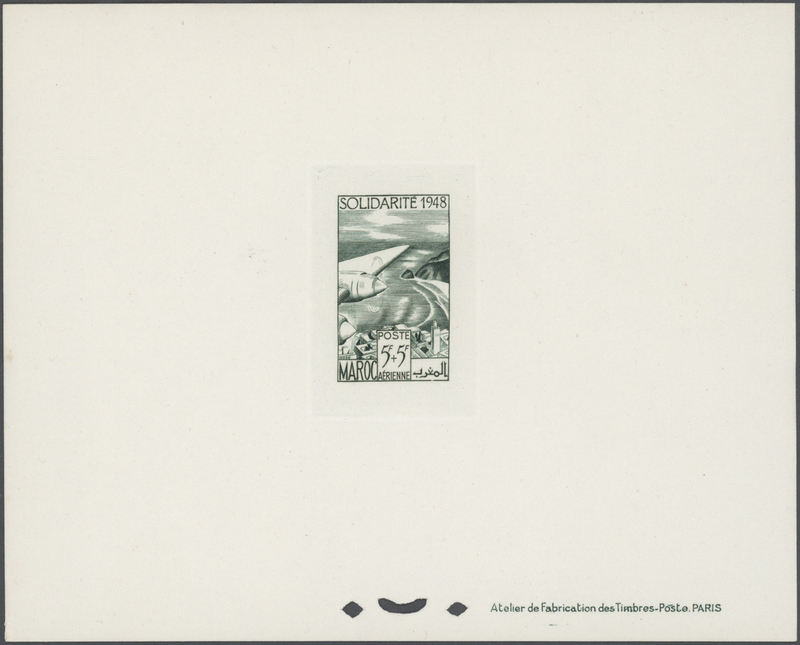 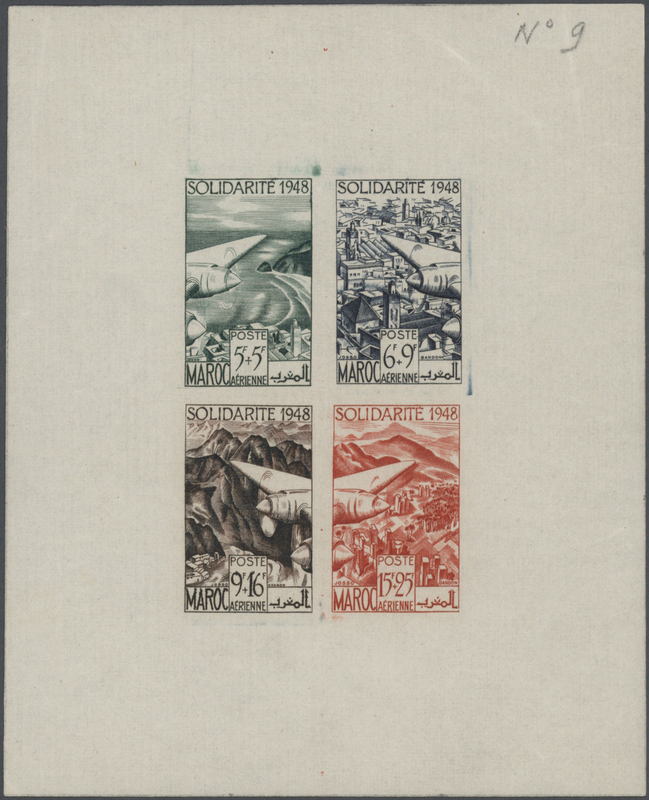 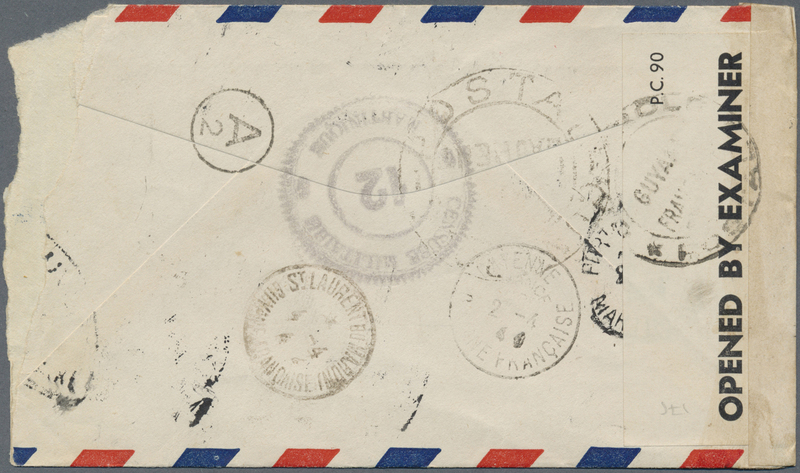 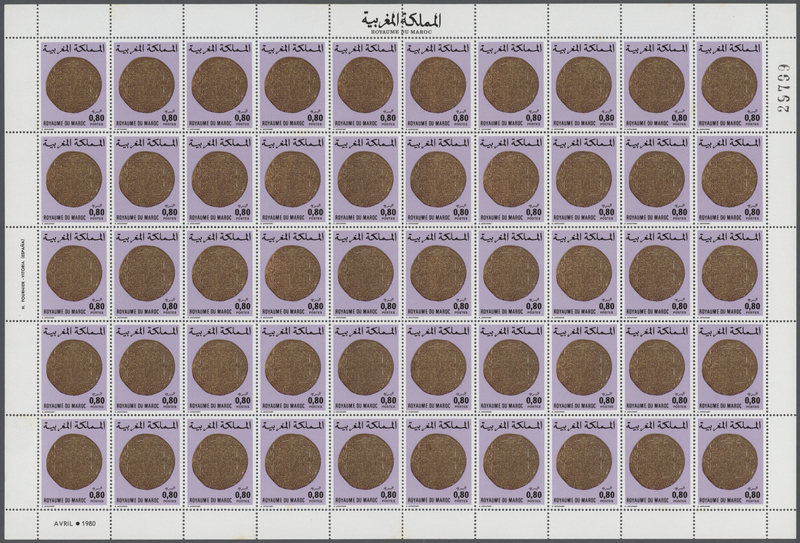 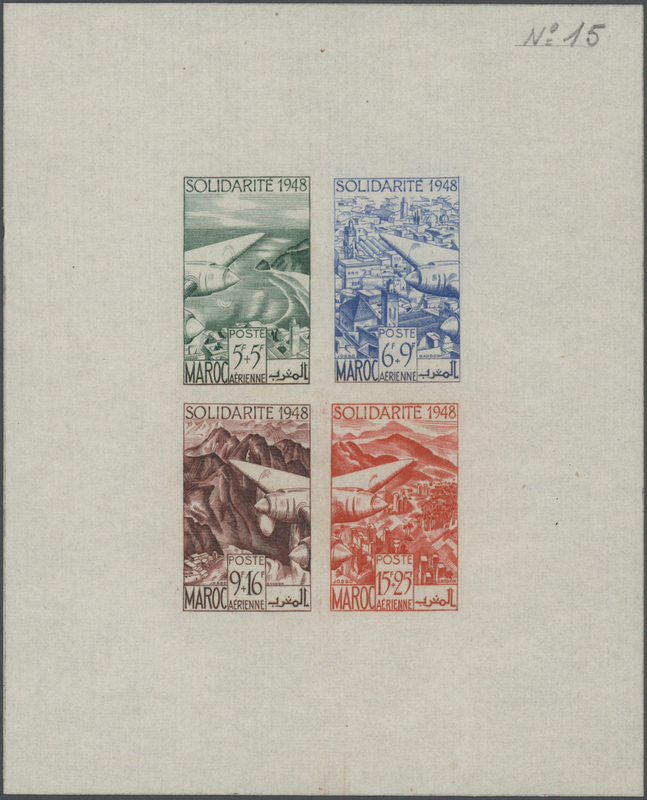 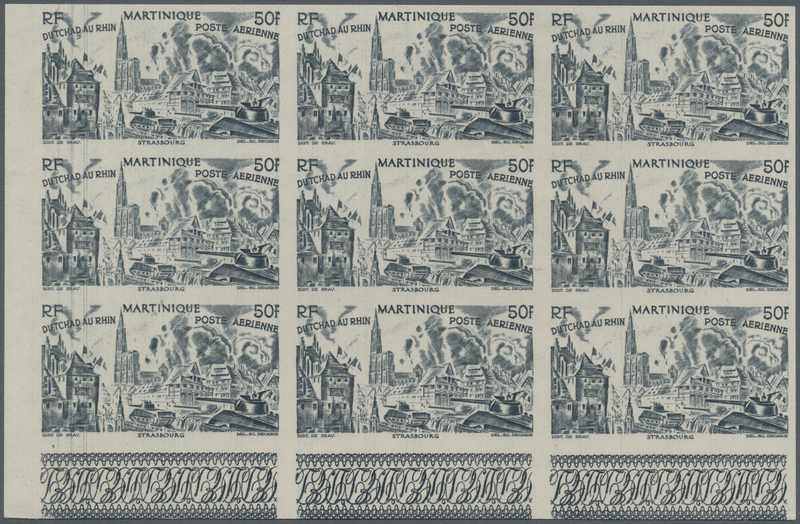 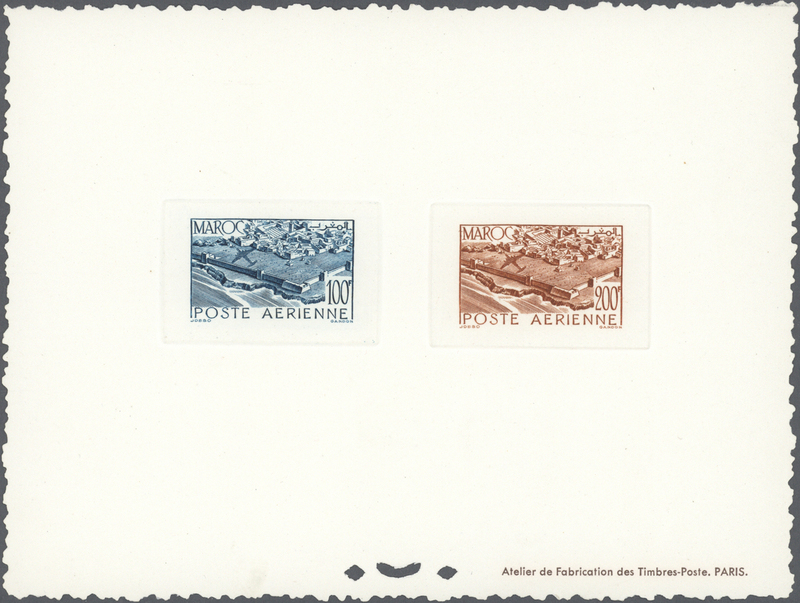 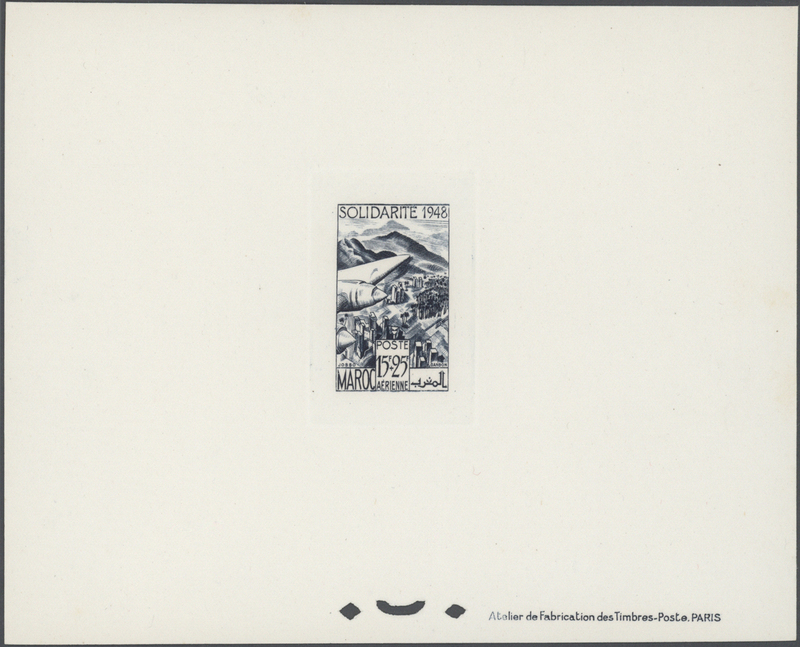 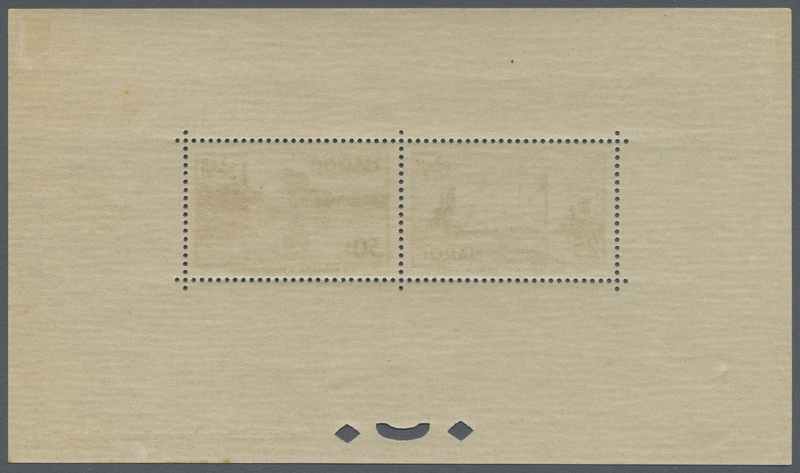 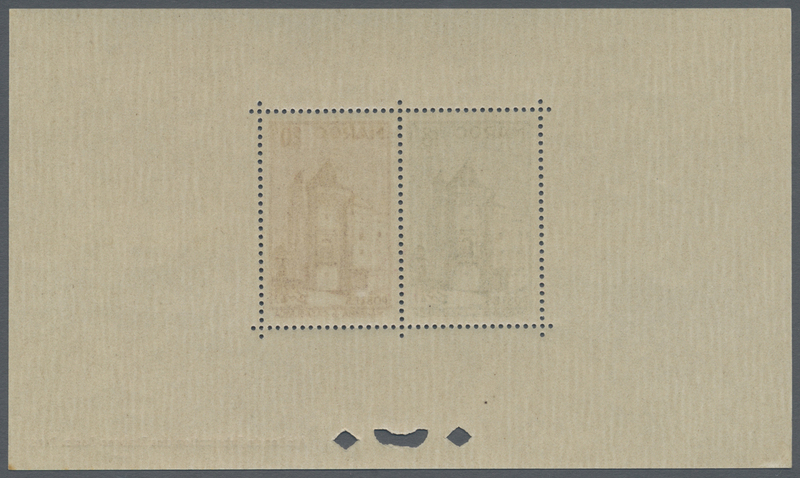 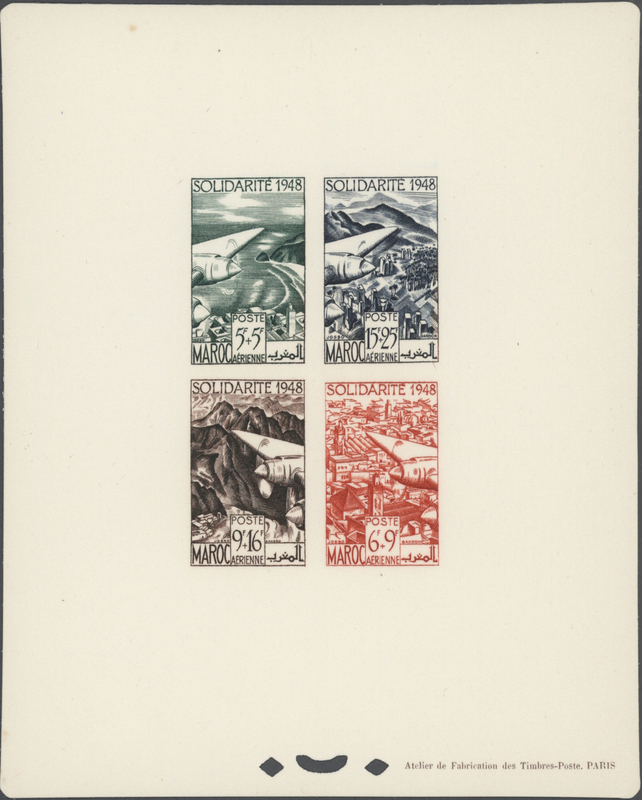 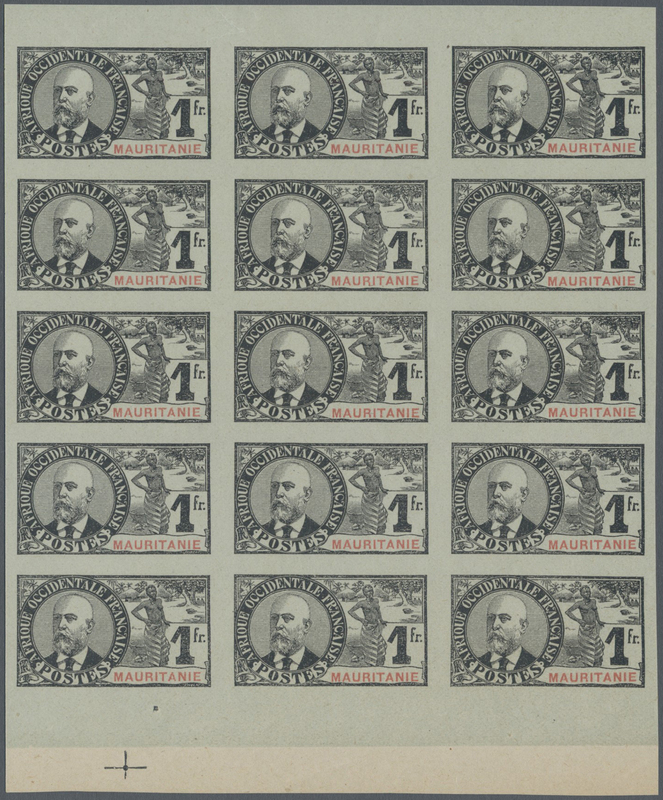 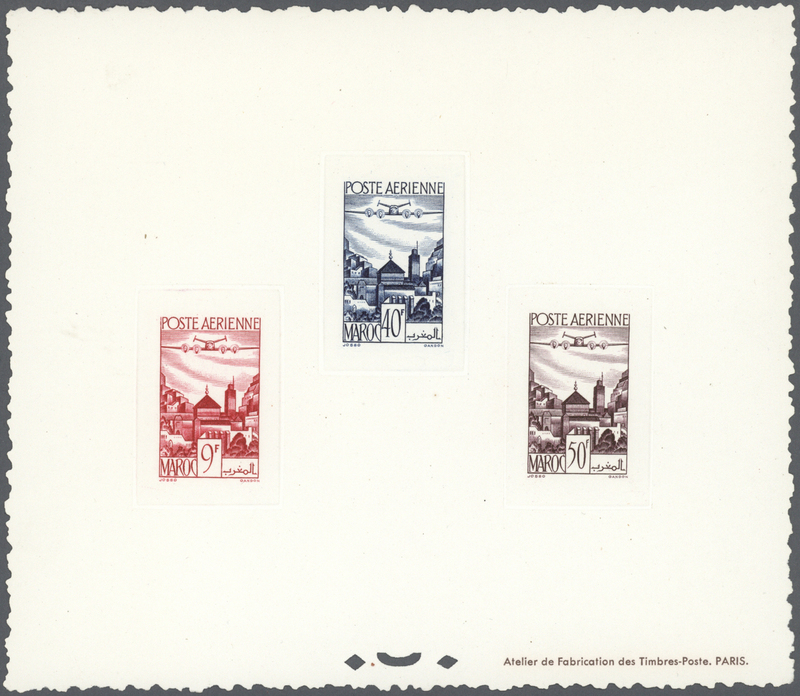 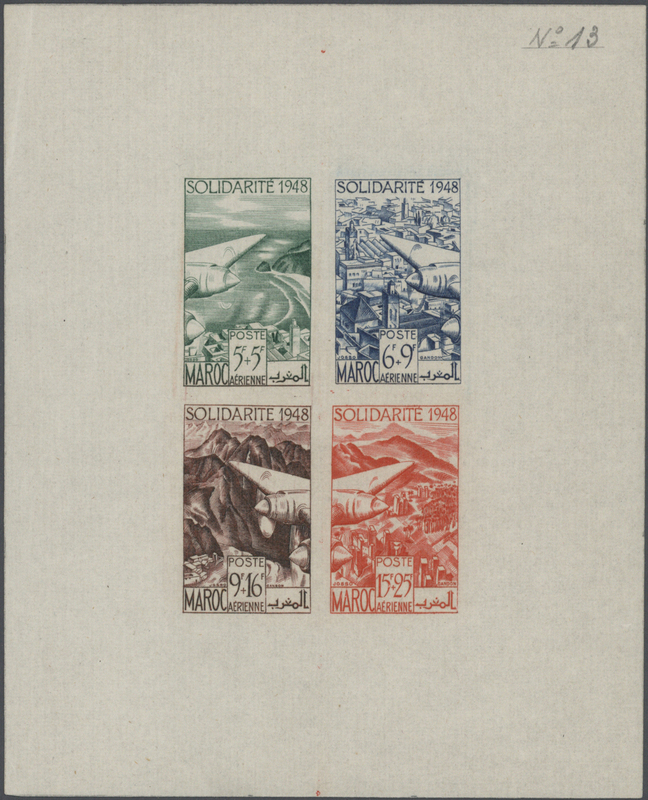 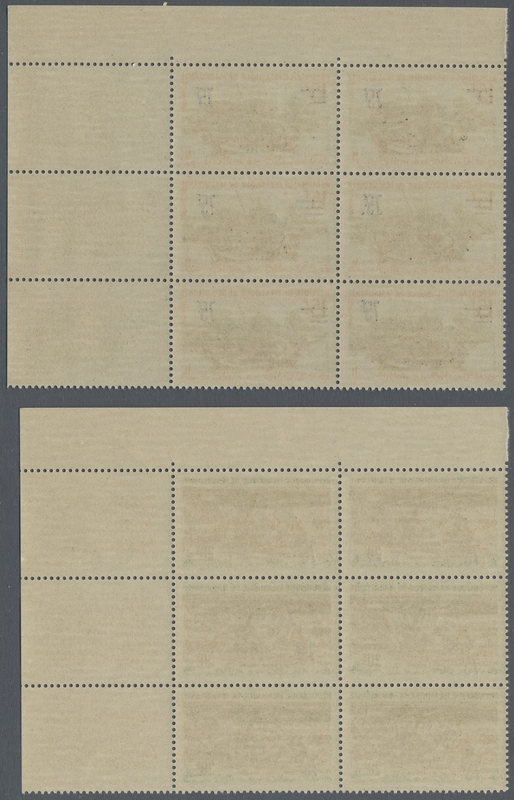 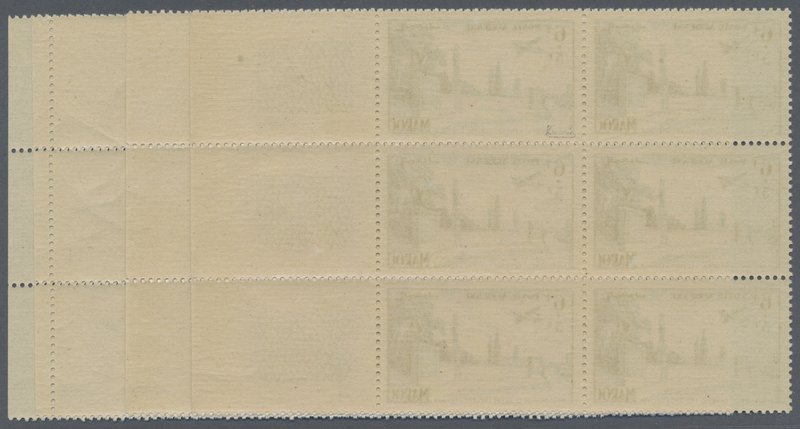 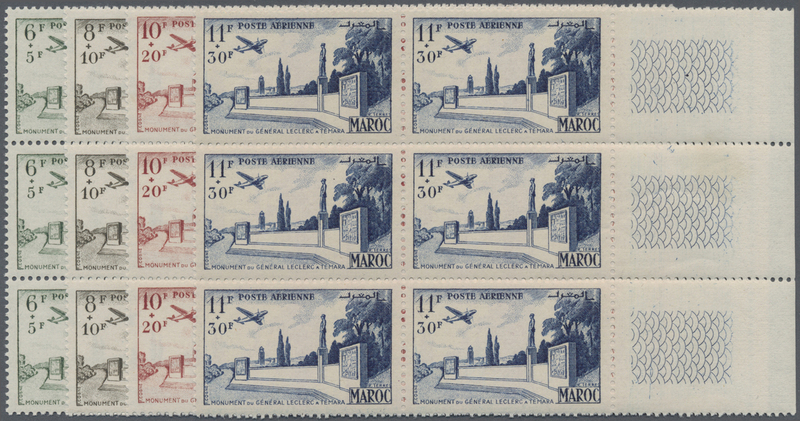 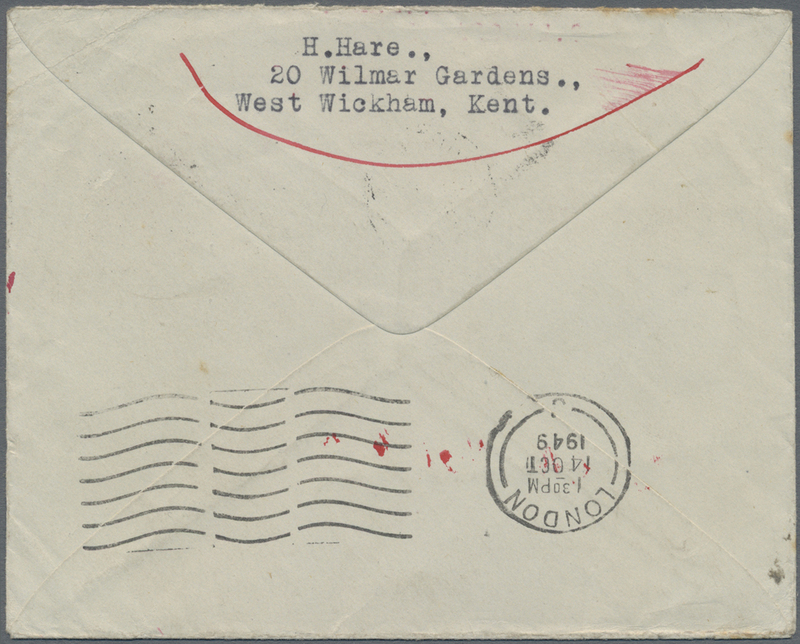 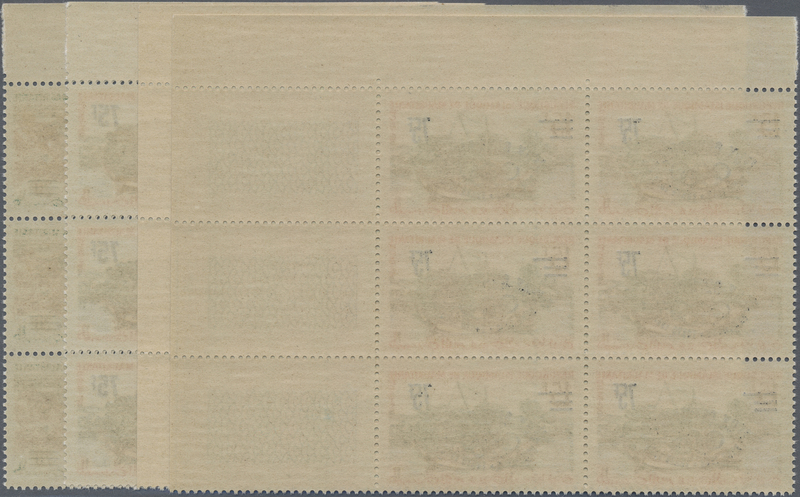 12268 postfrisch (never hinged) ** ungebraucht ohne Gummi (unused without gum) (*) refers to 287/90 (Bl 1949, "SOLIDARITE 1948", four airmail stamps each as epreuve de luxe; in addition four imperforate colour proofs of souvenir sheet no. 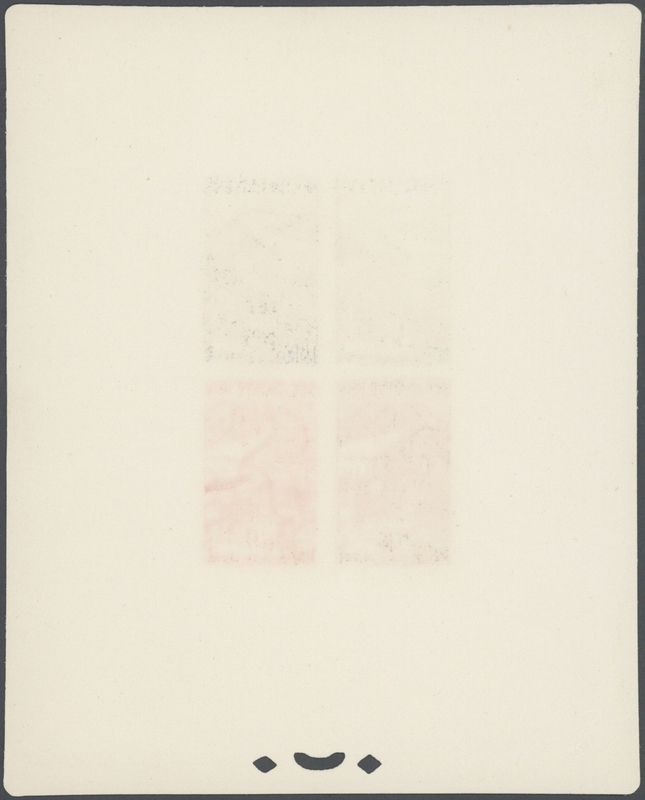 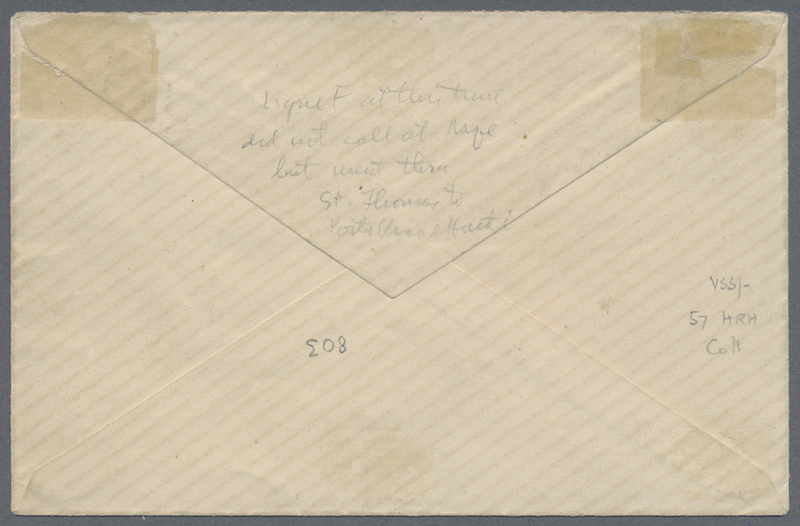 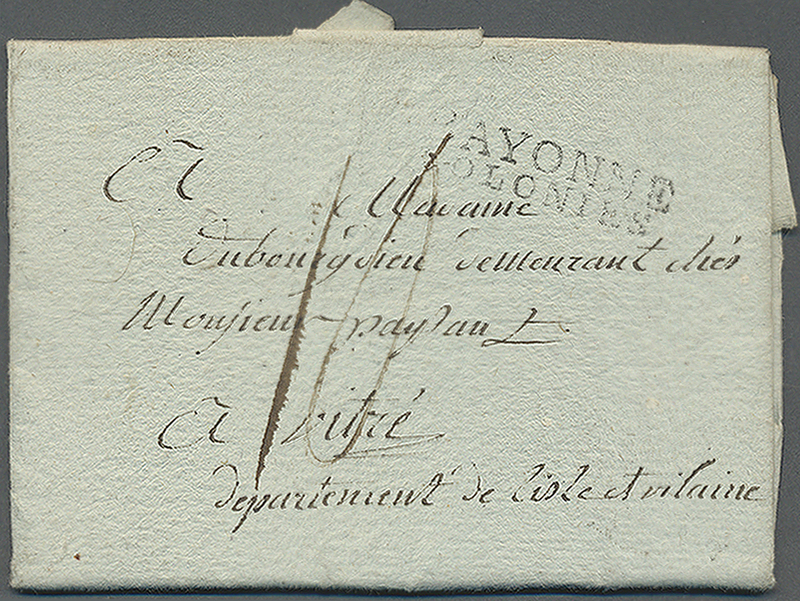 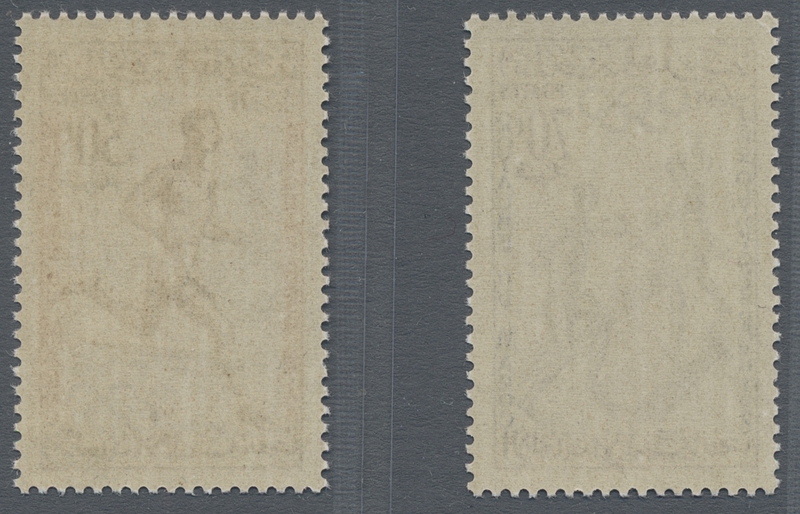 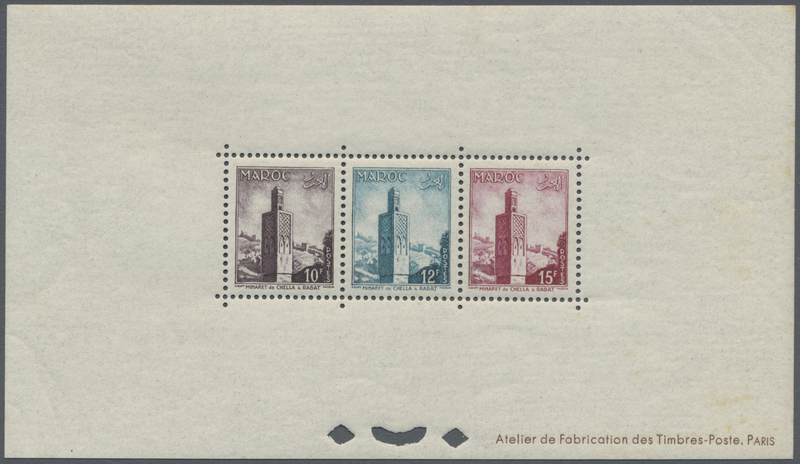 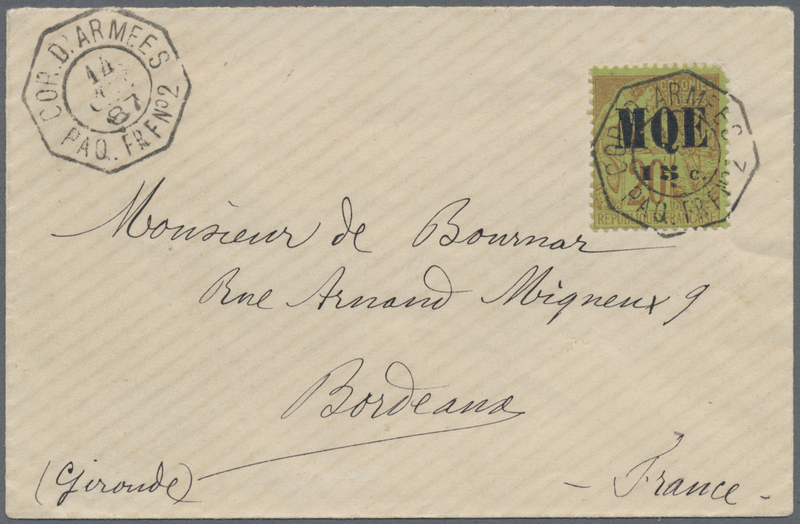 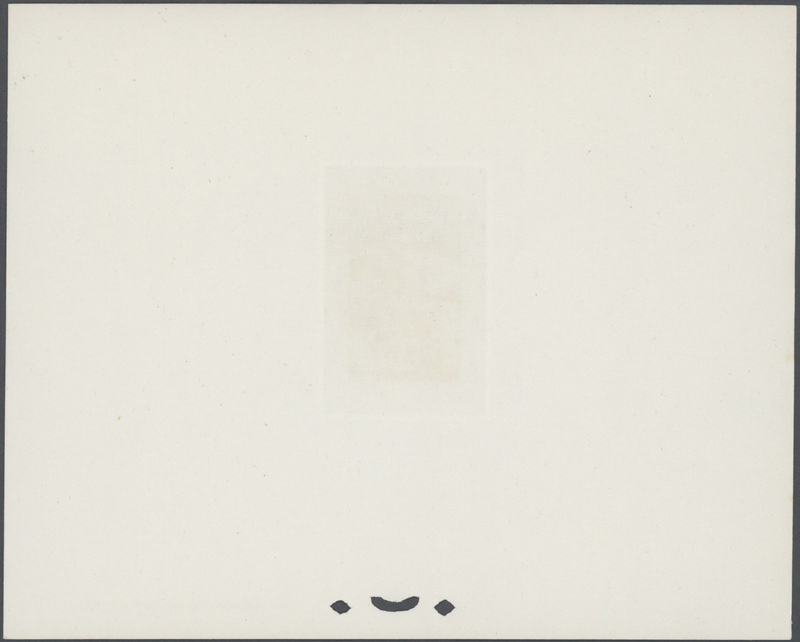 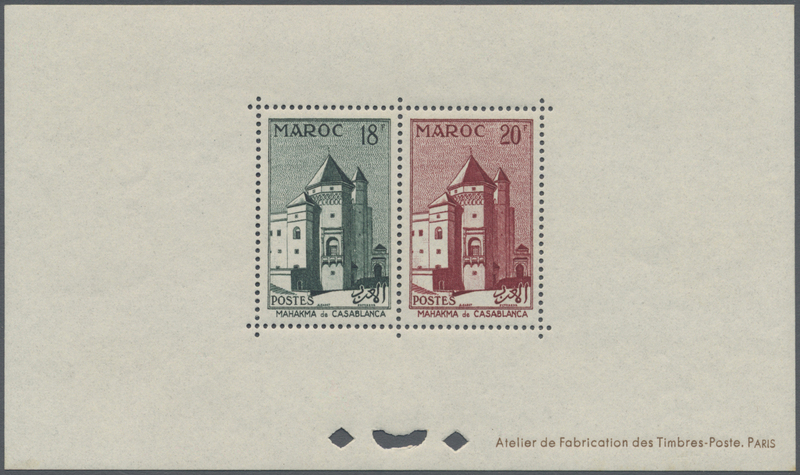 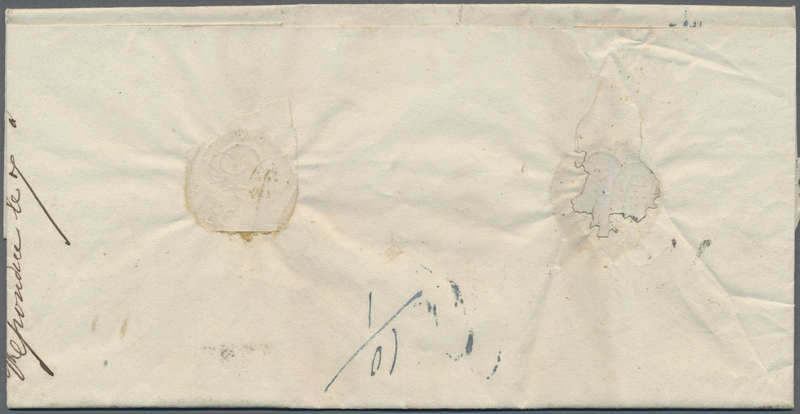 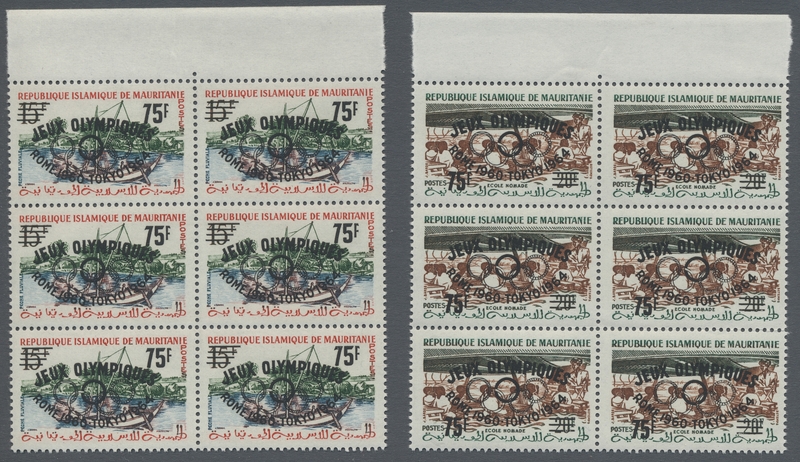 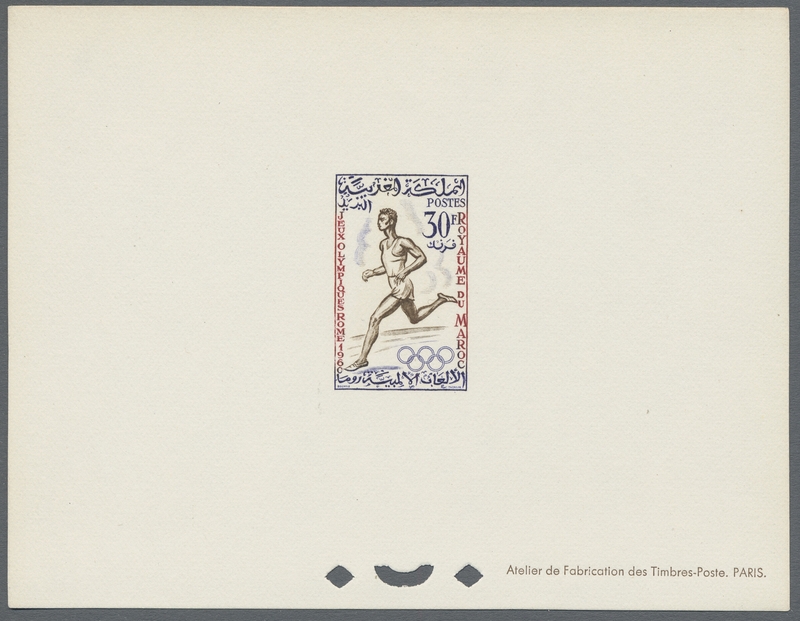 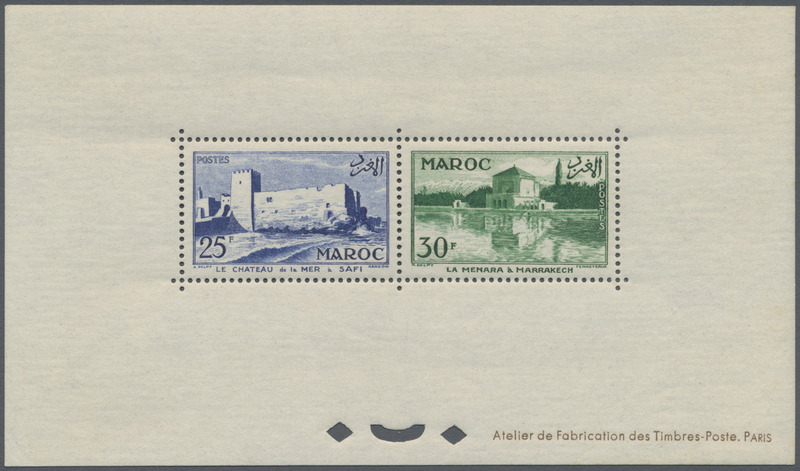 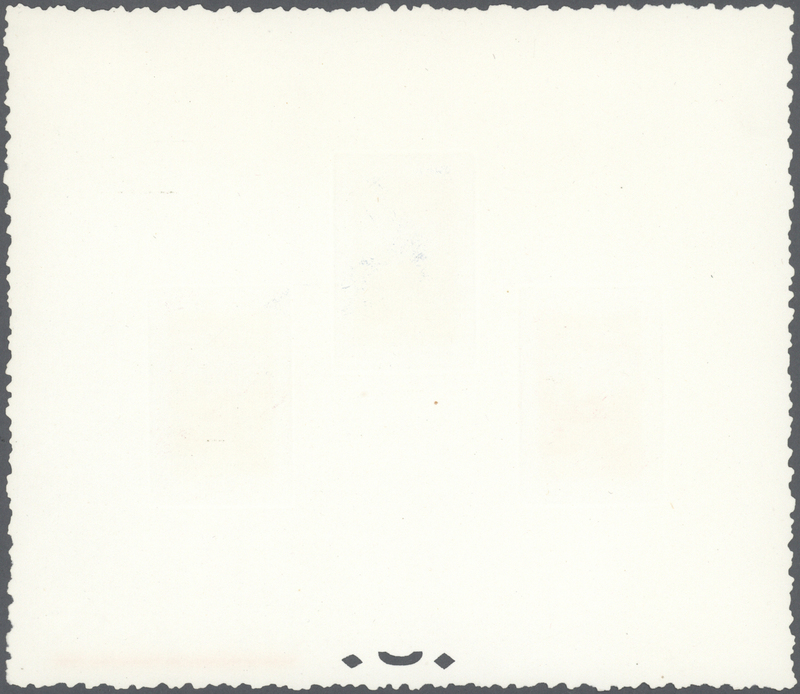 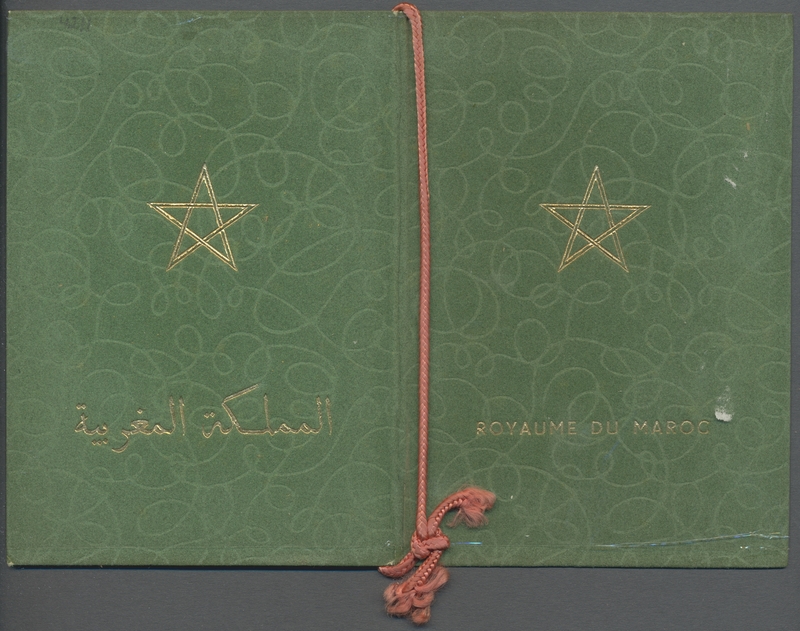 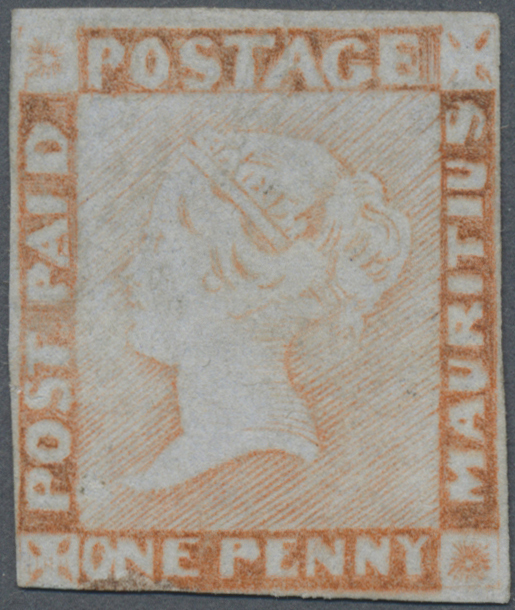 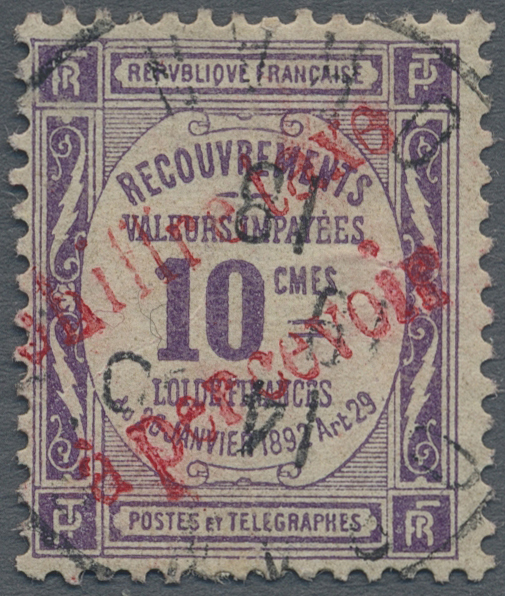 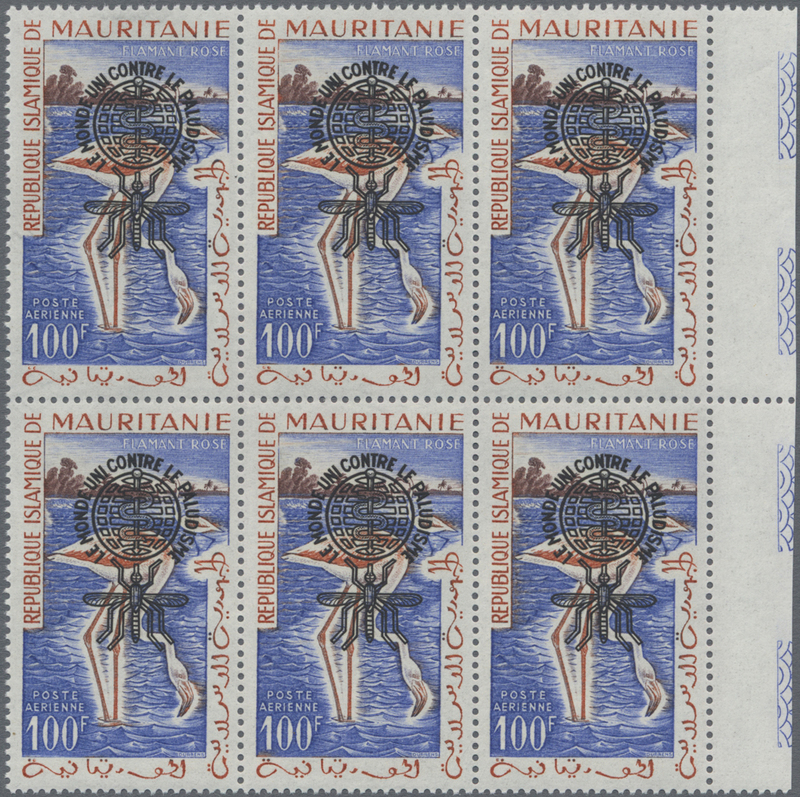 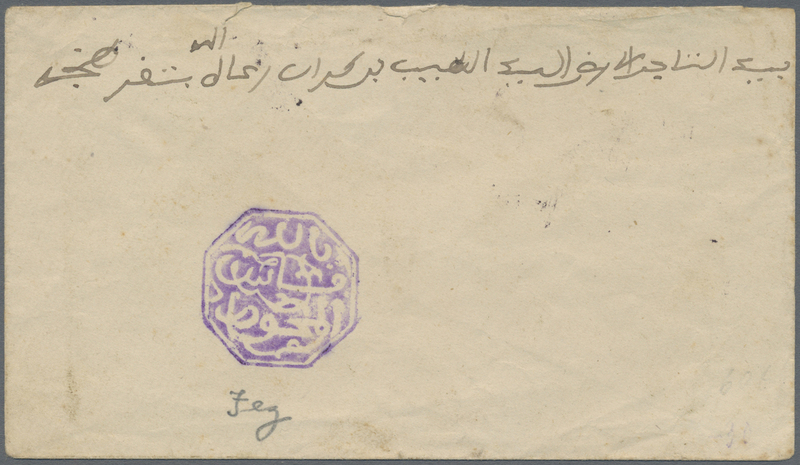 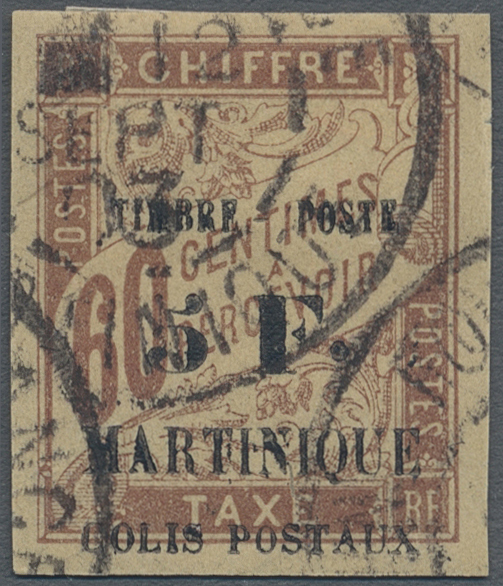 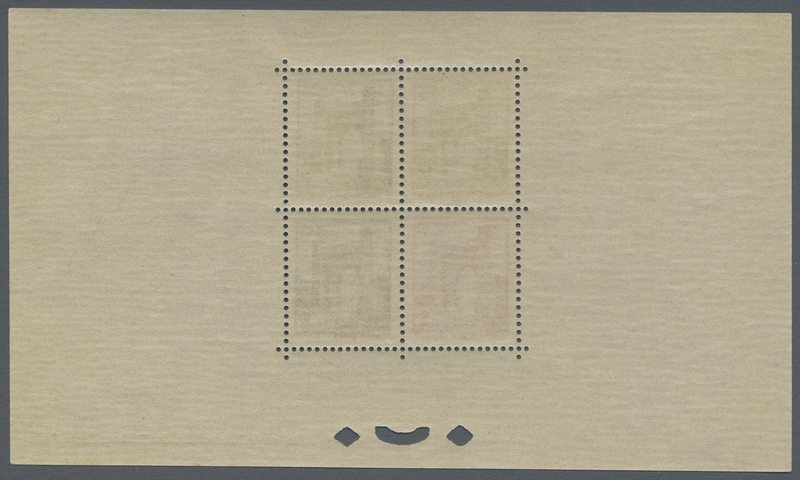 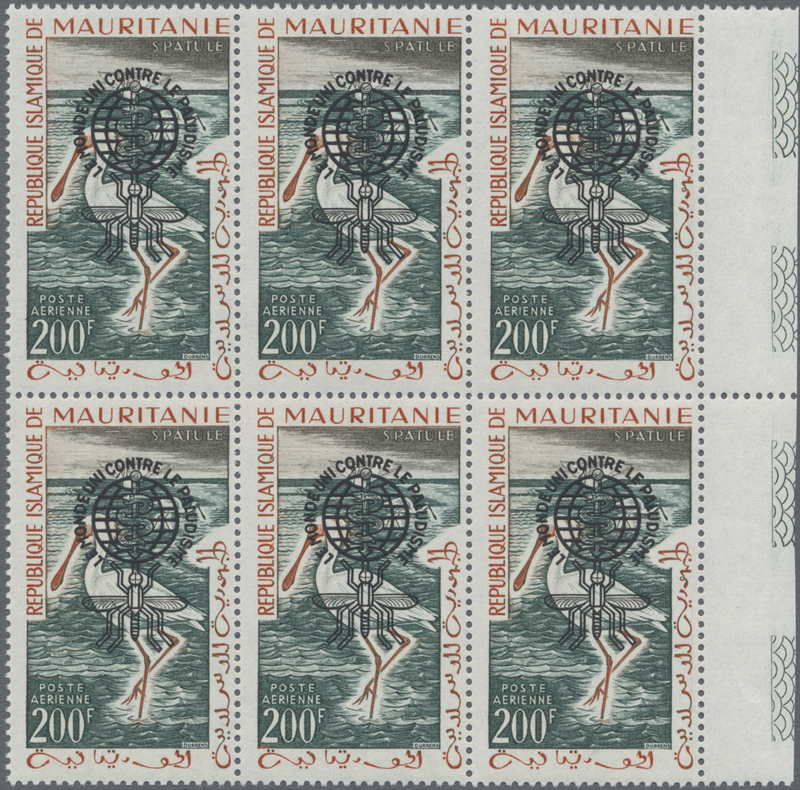 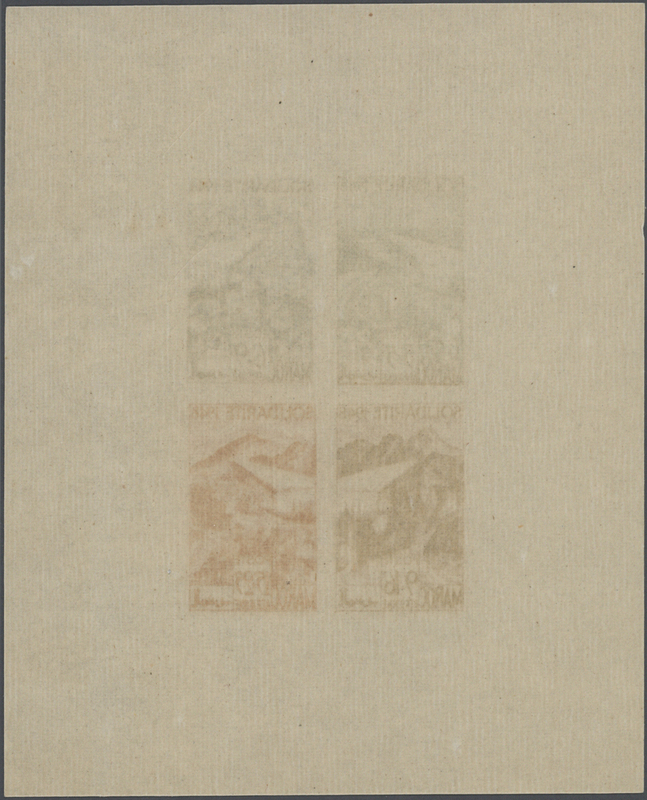 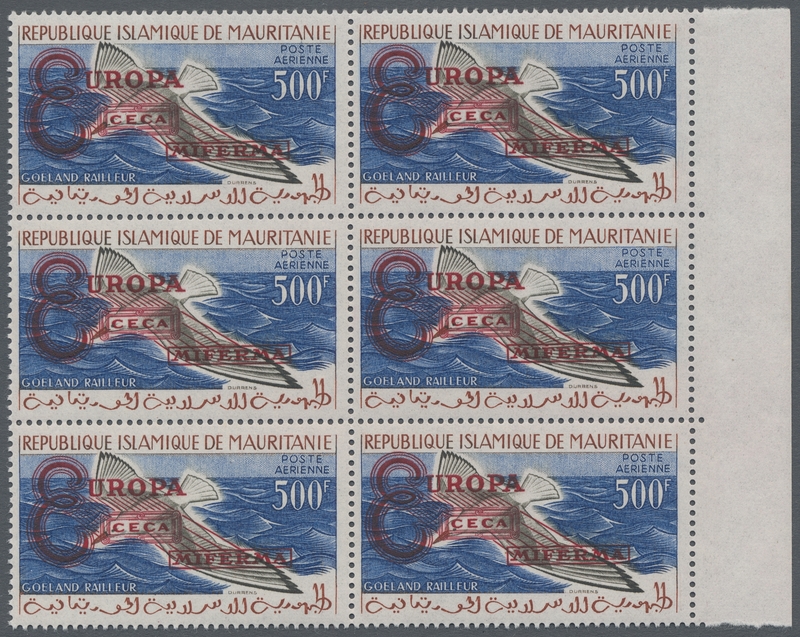 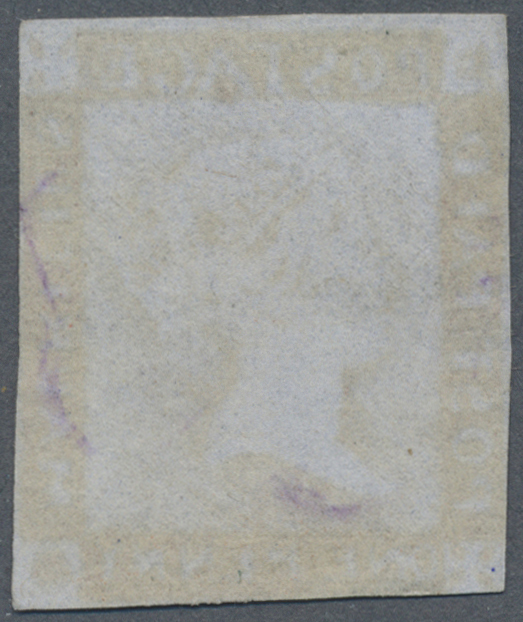 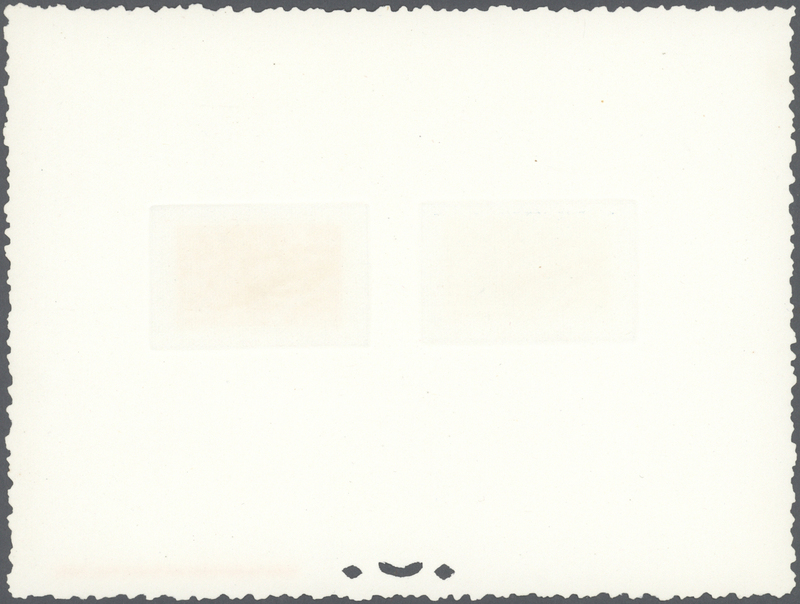 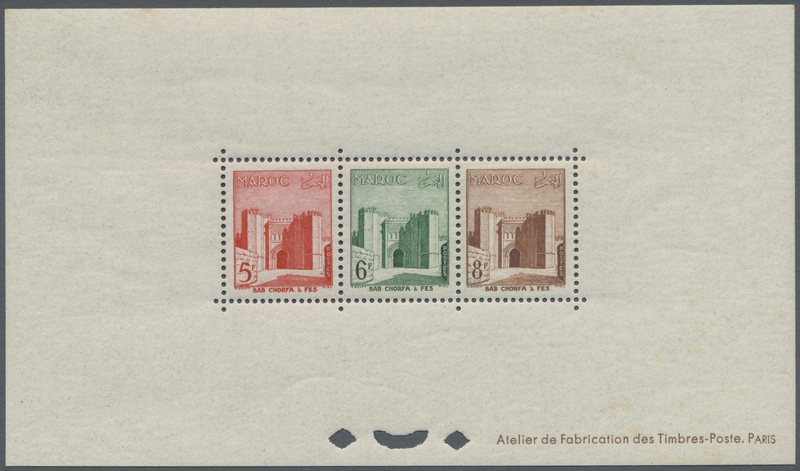 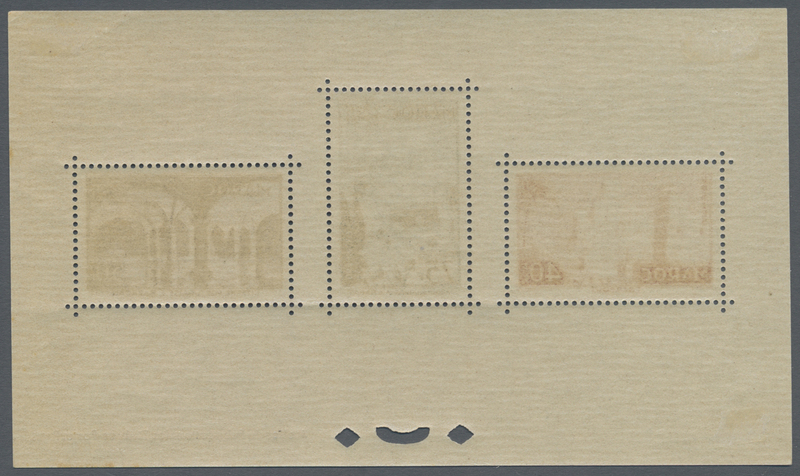 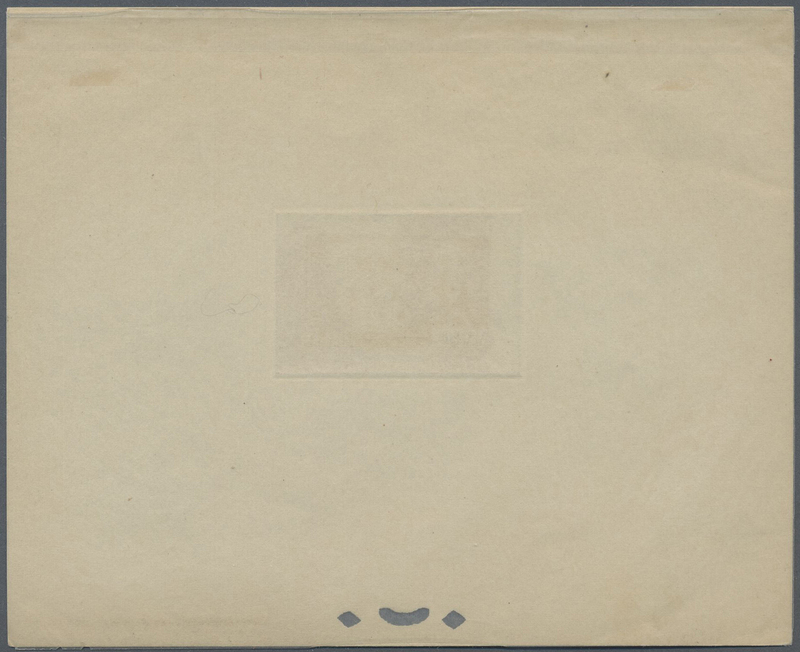 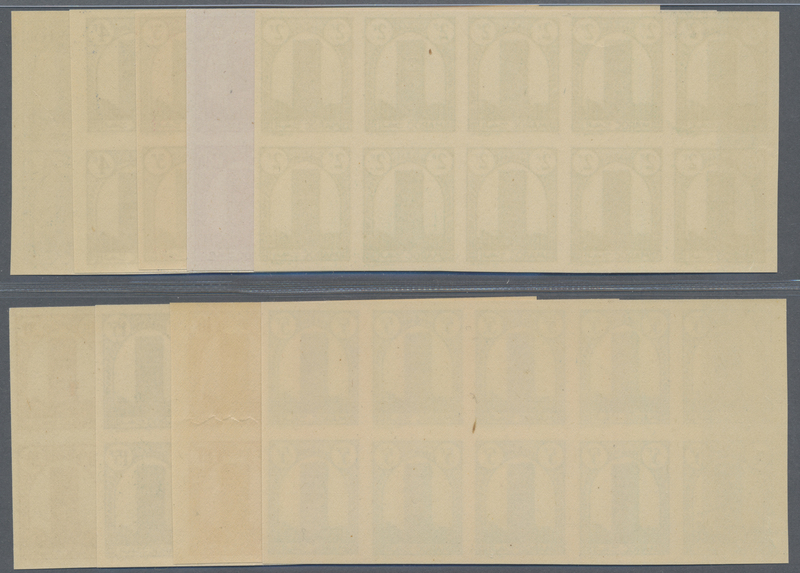 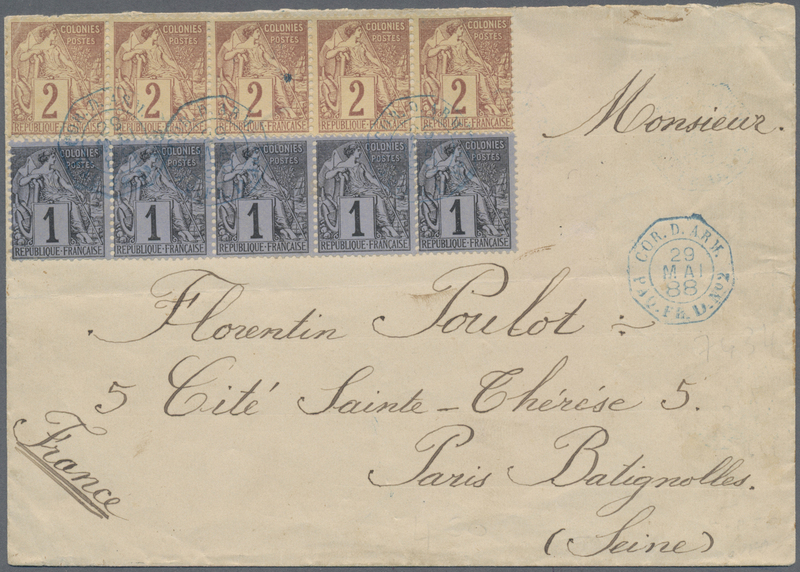 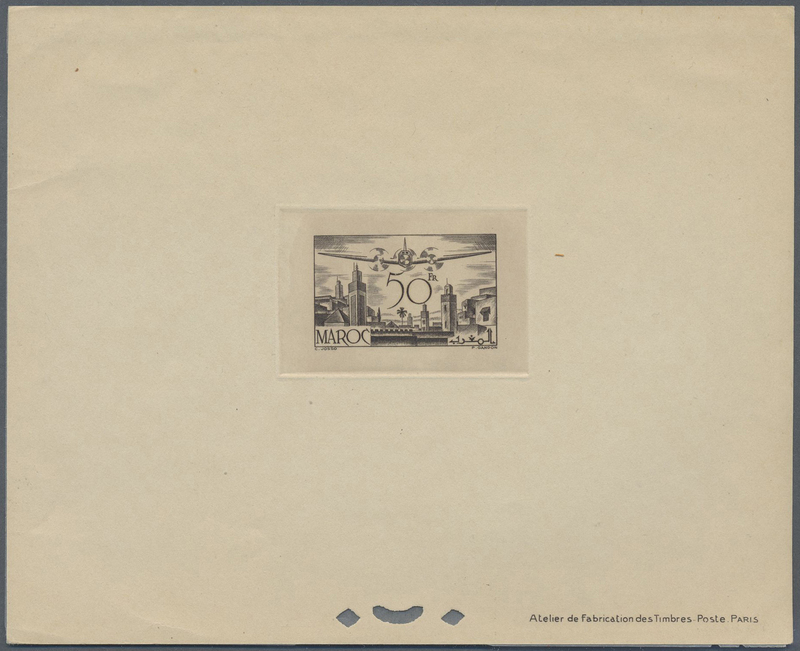 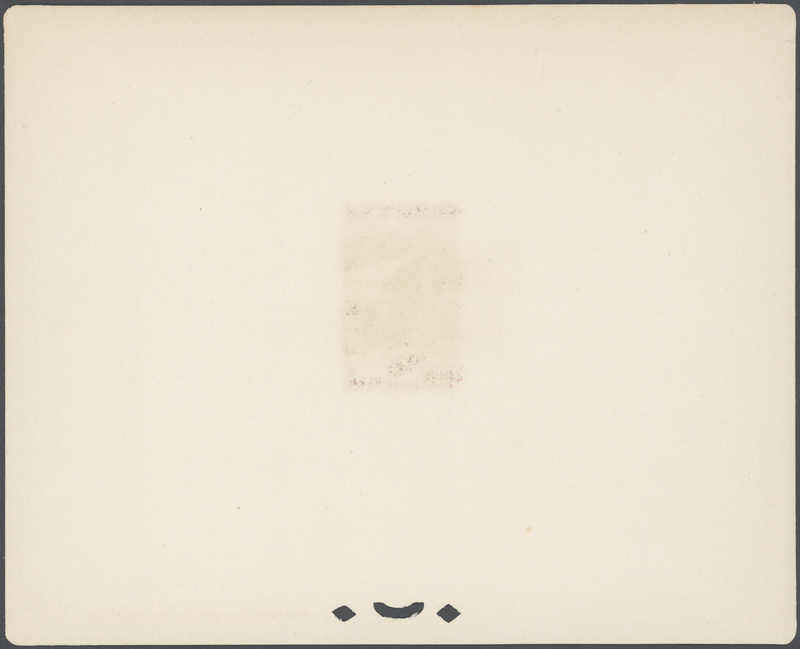 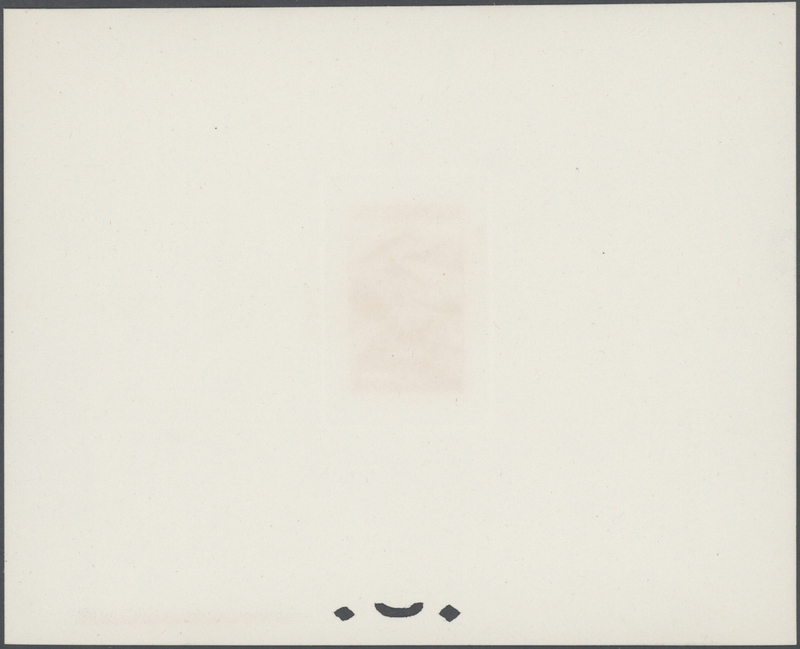 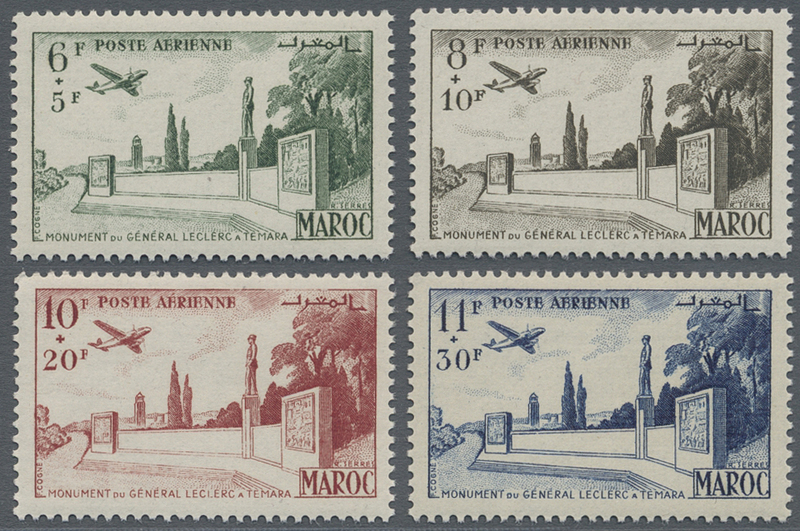 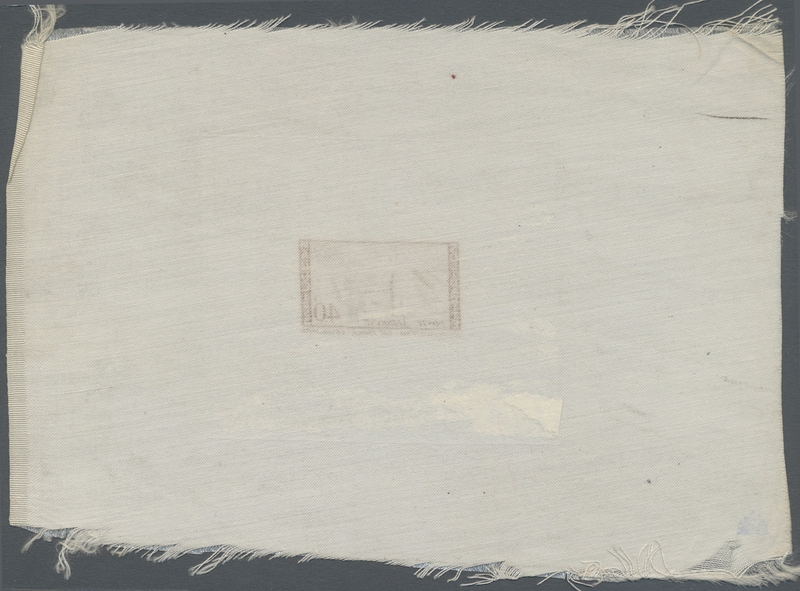 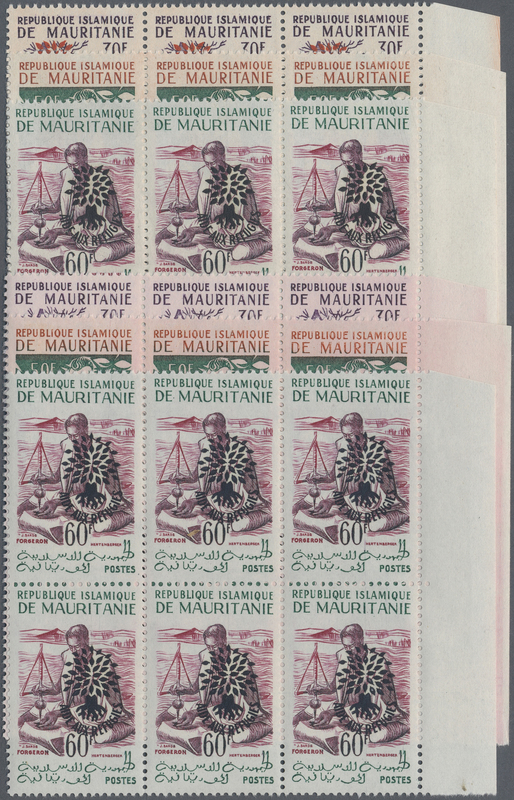 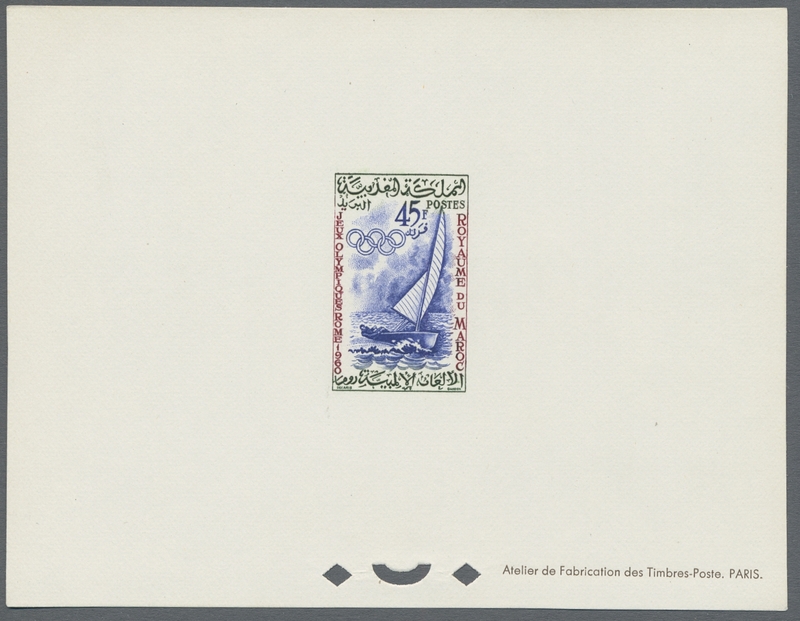 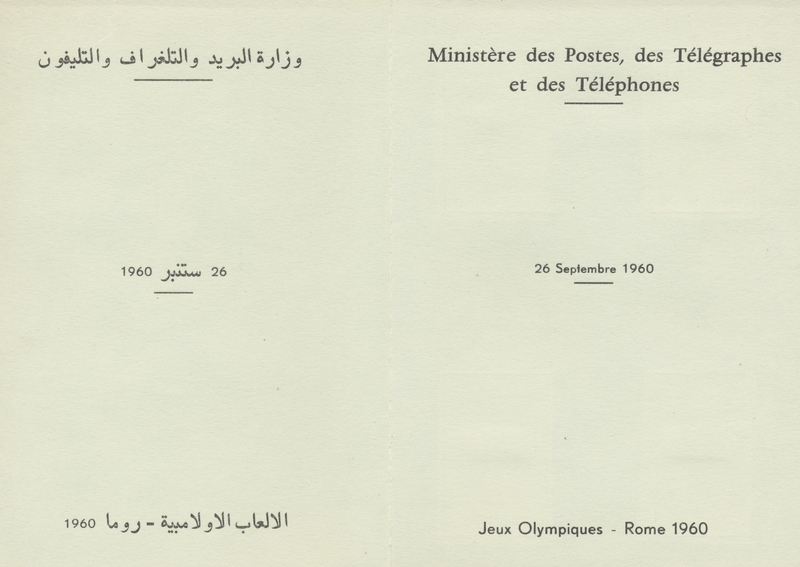 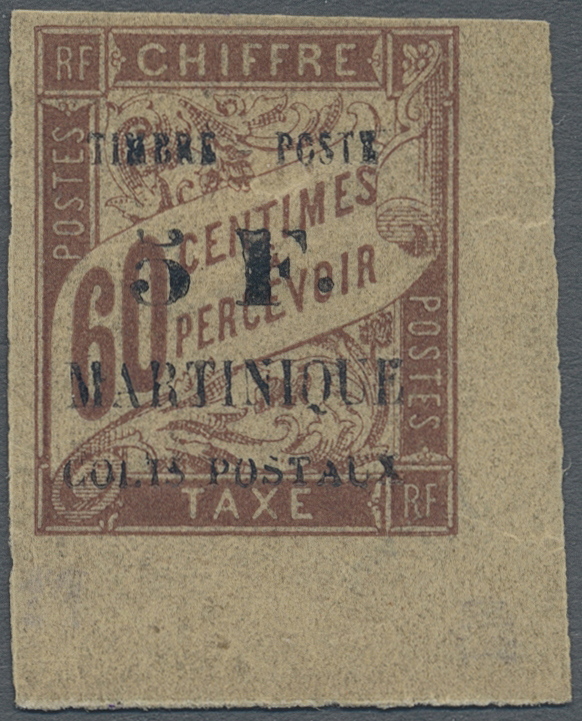 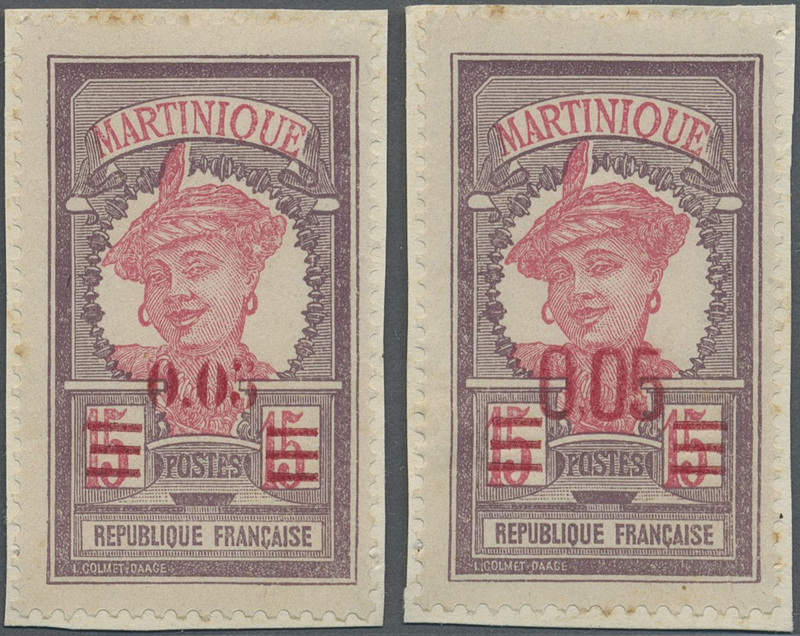 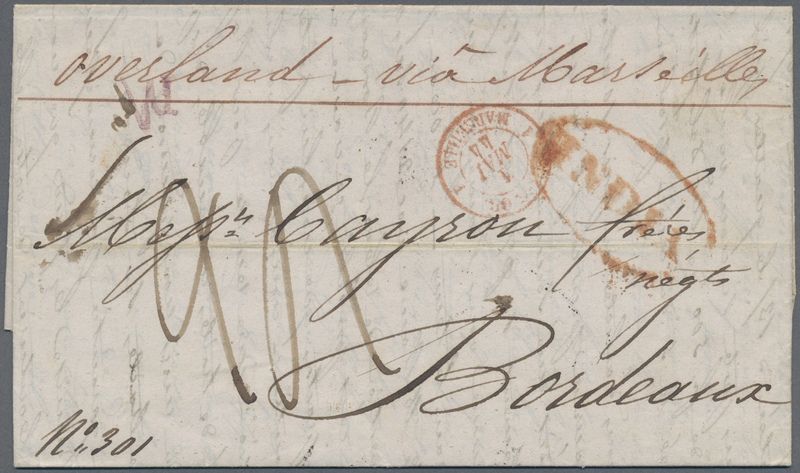 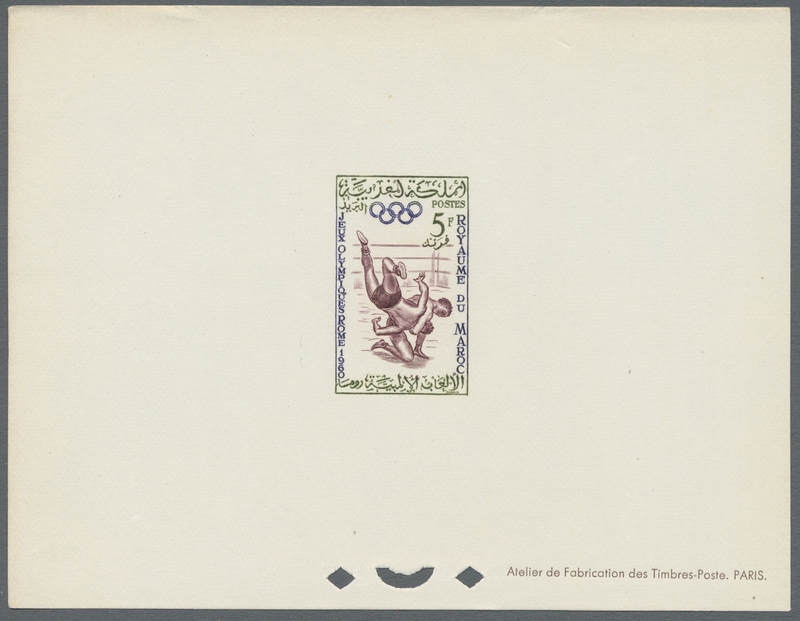 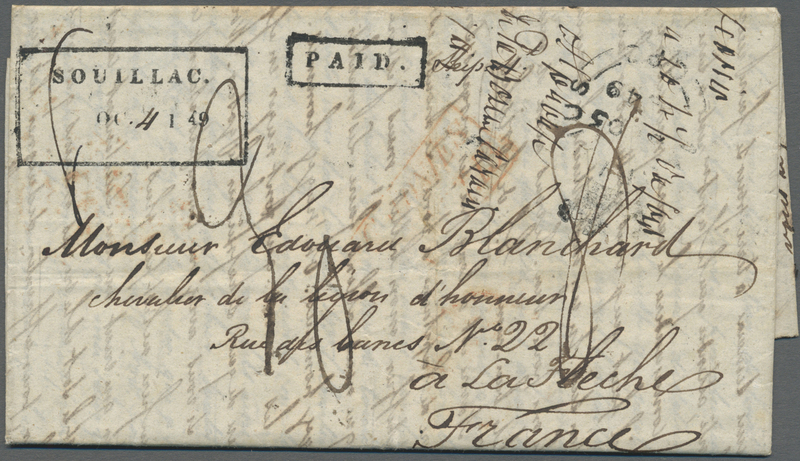 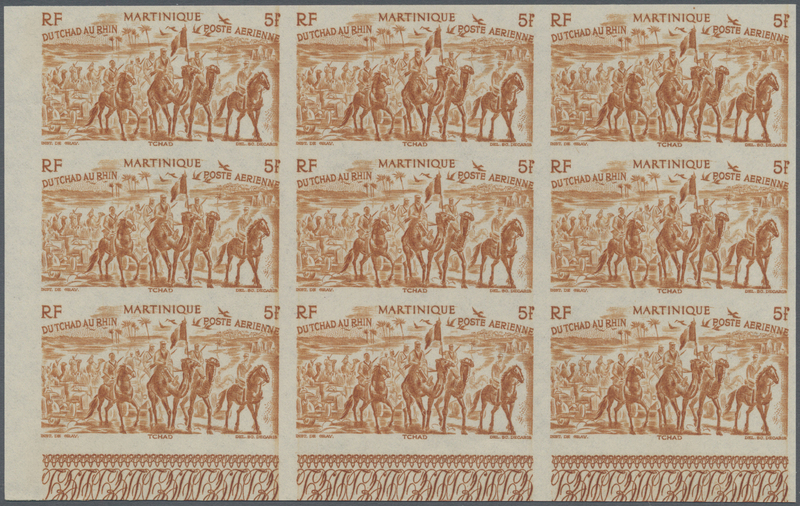 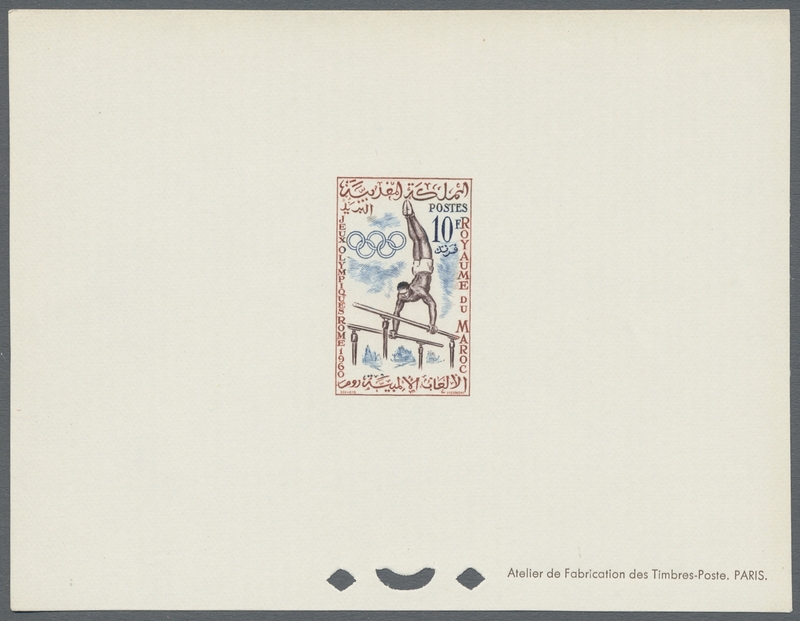 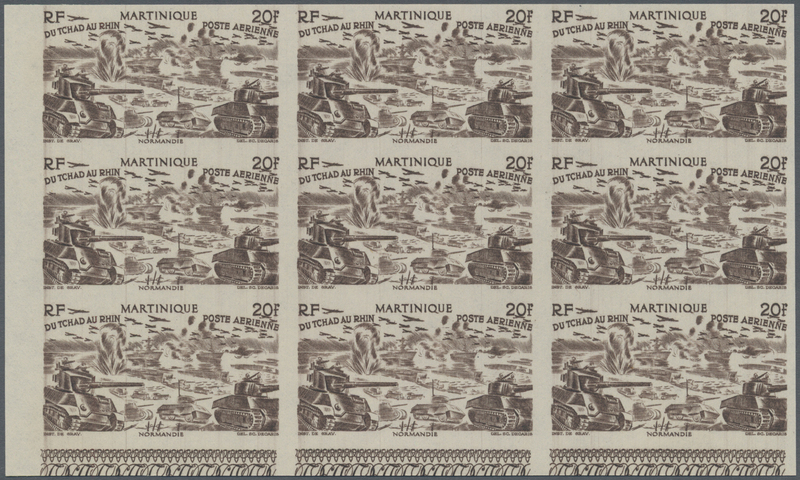 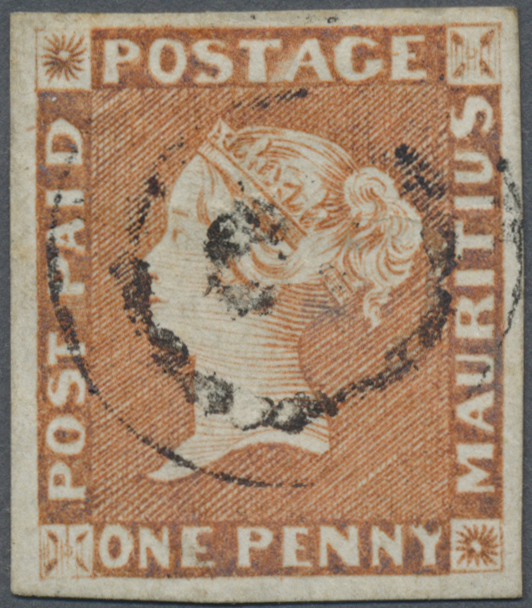 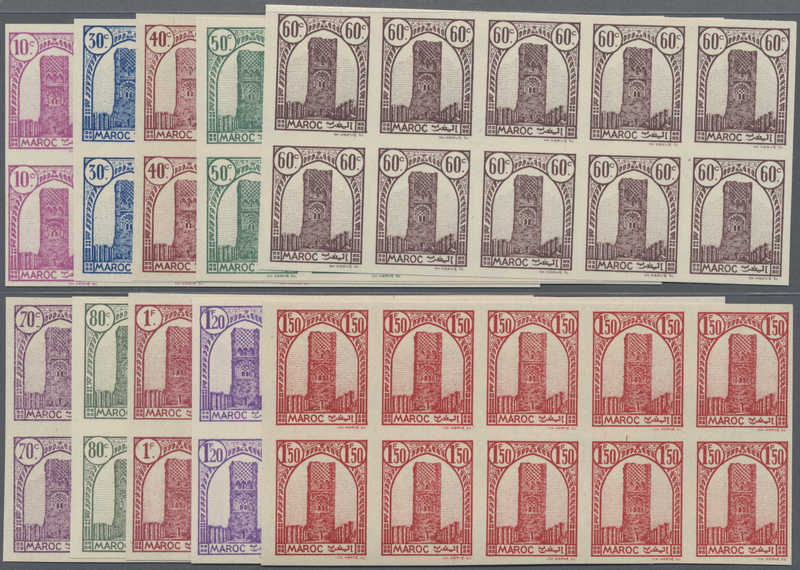 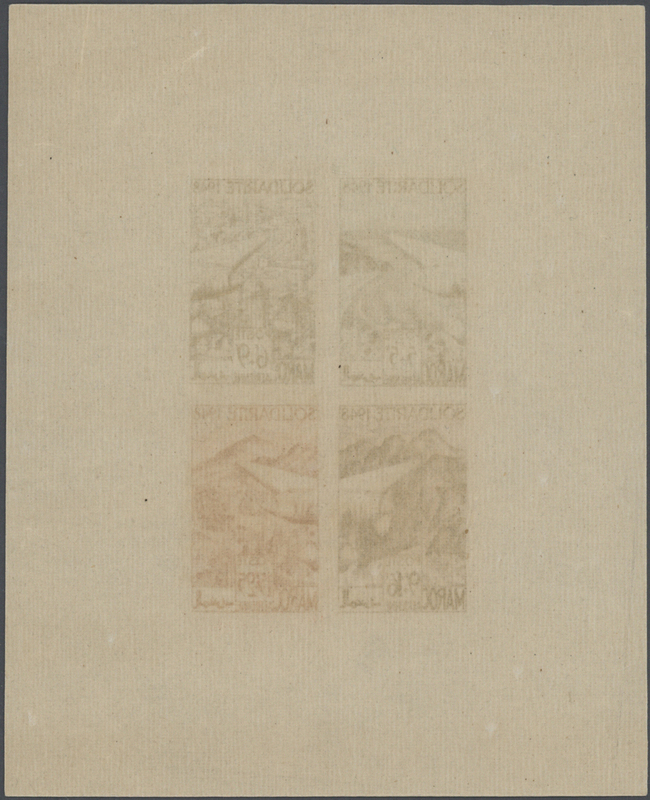 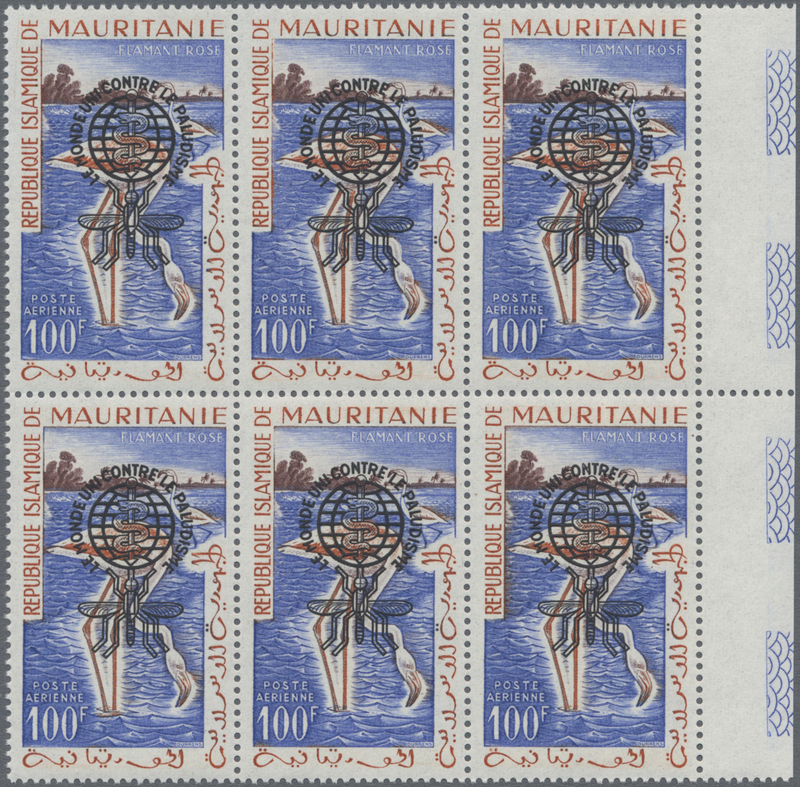 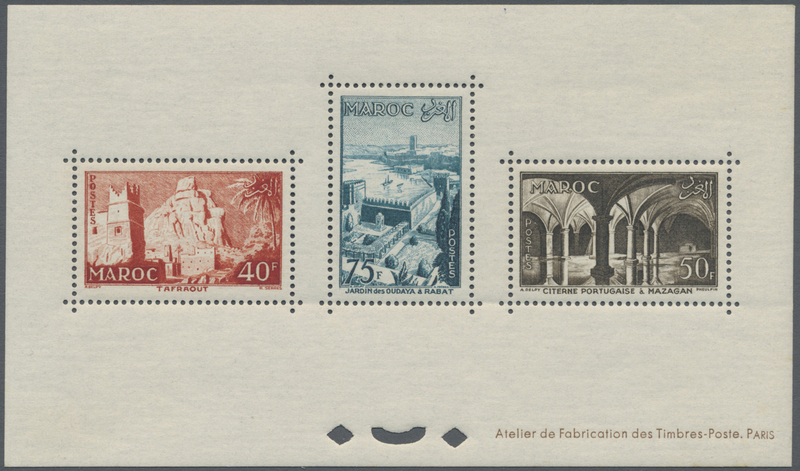 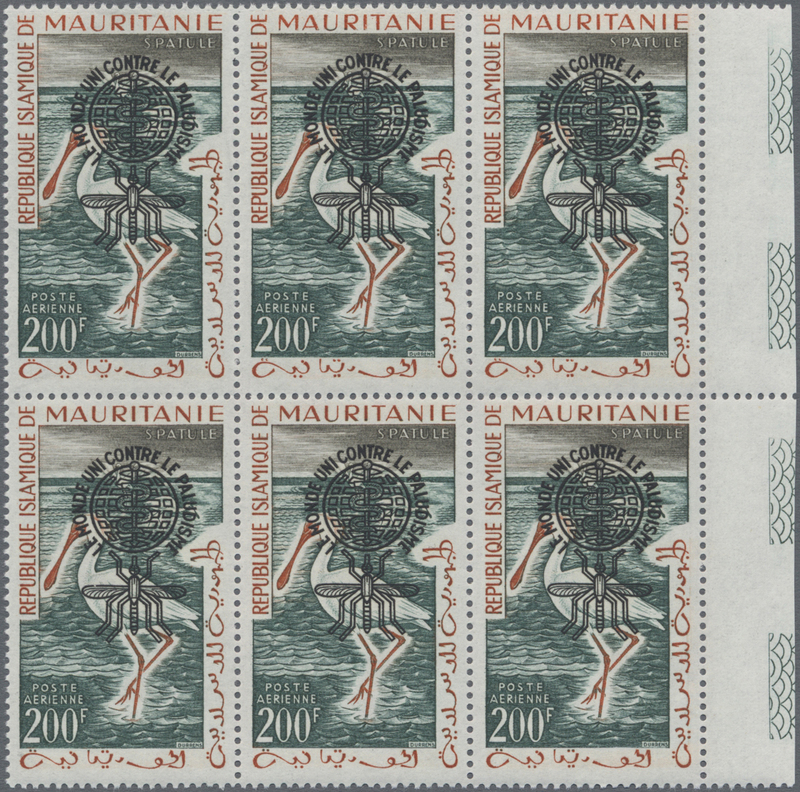 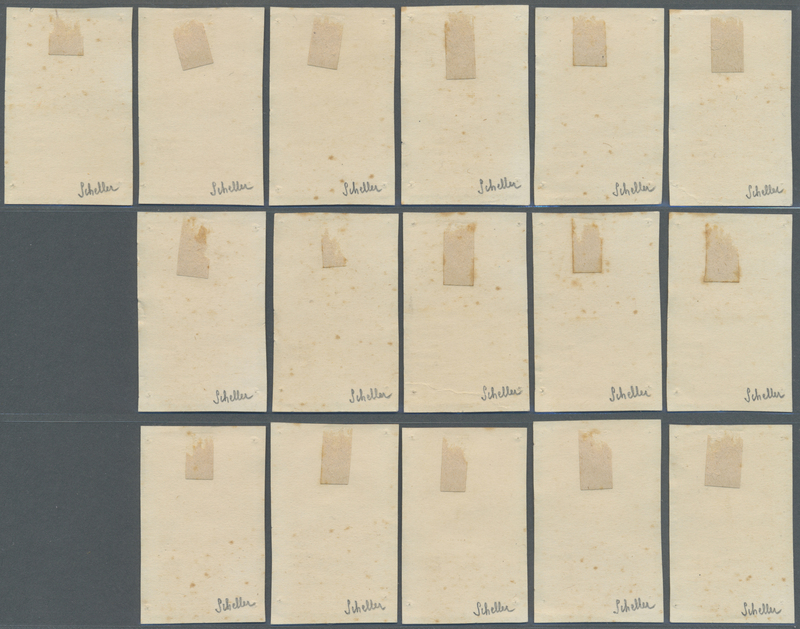 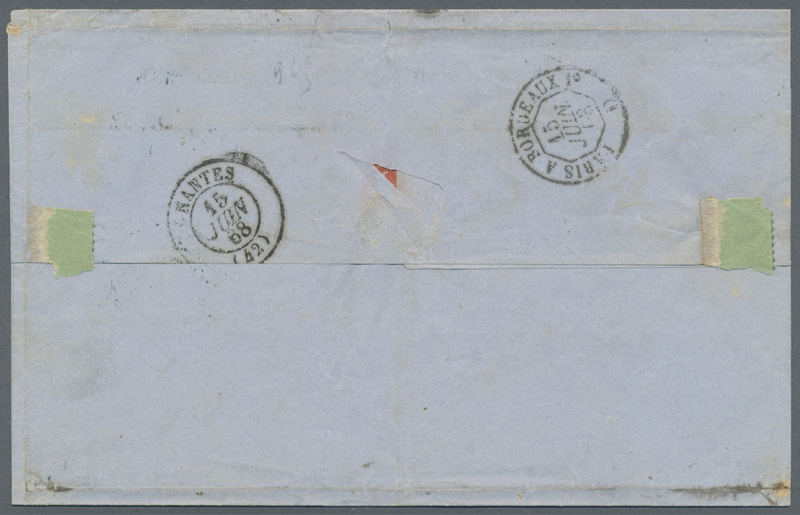 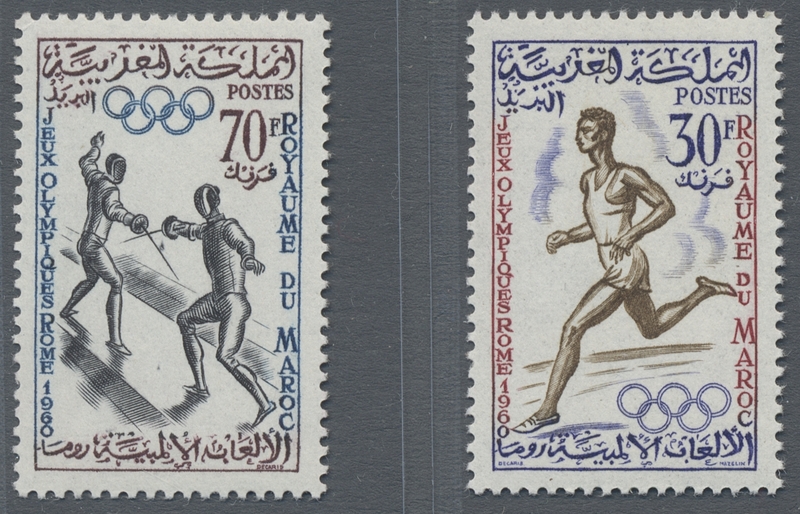 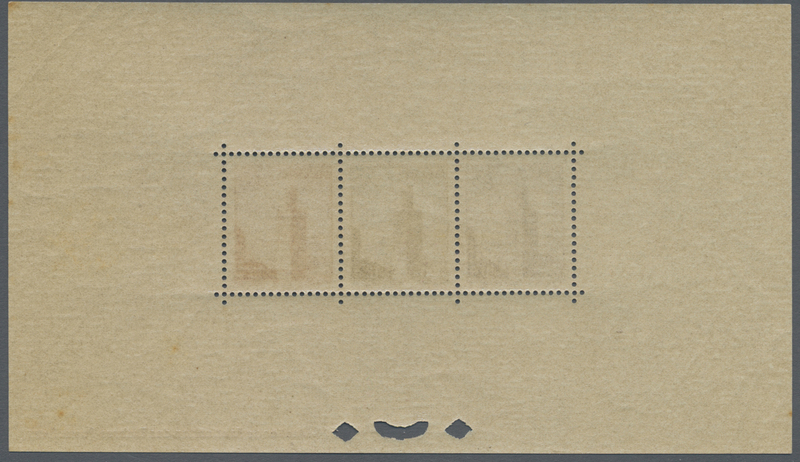 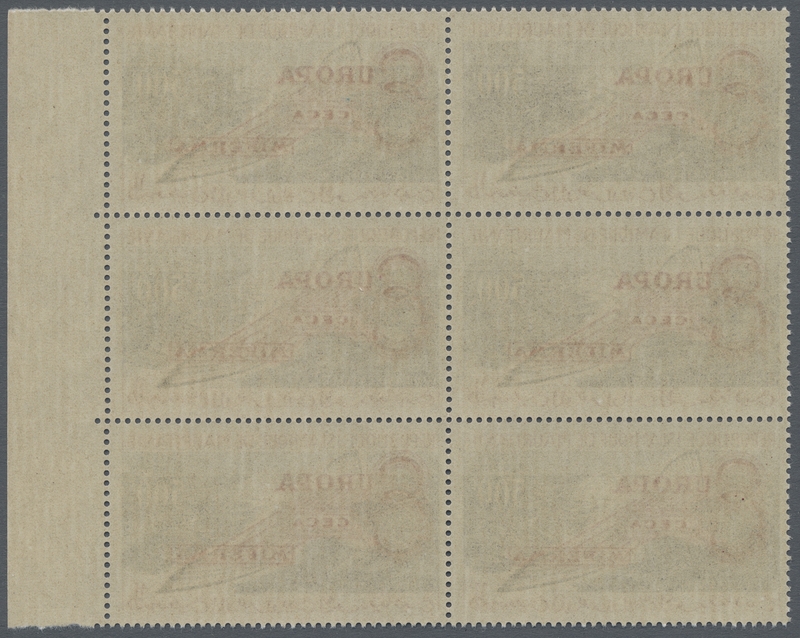 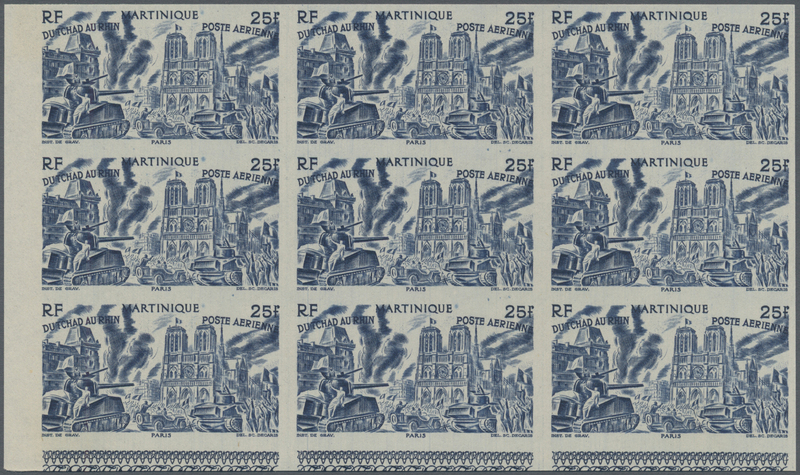 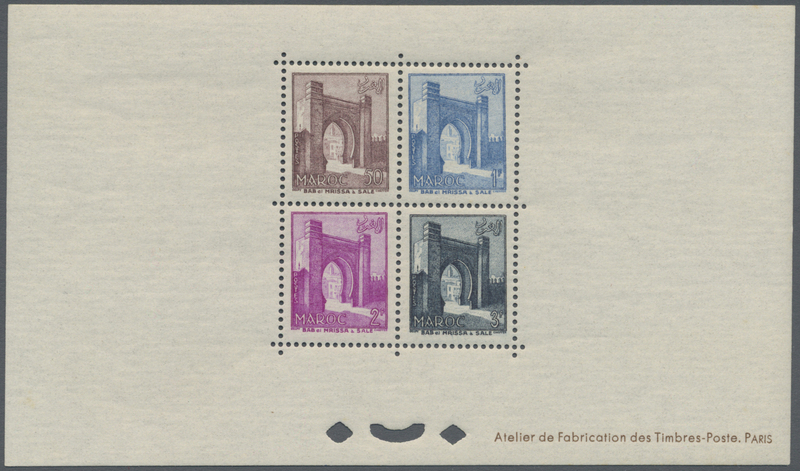 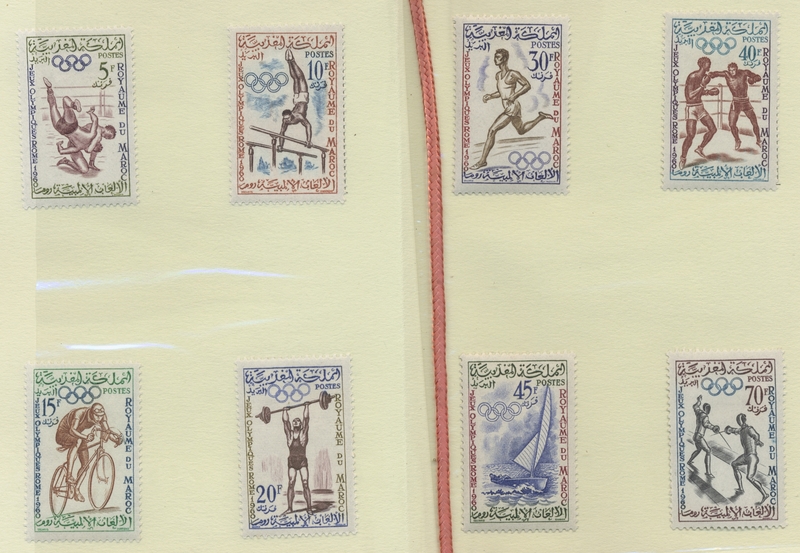 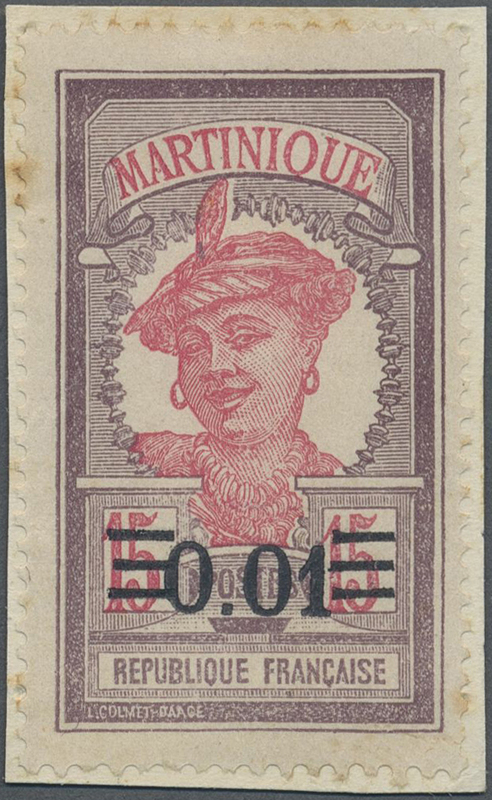 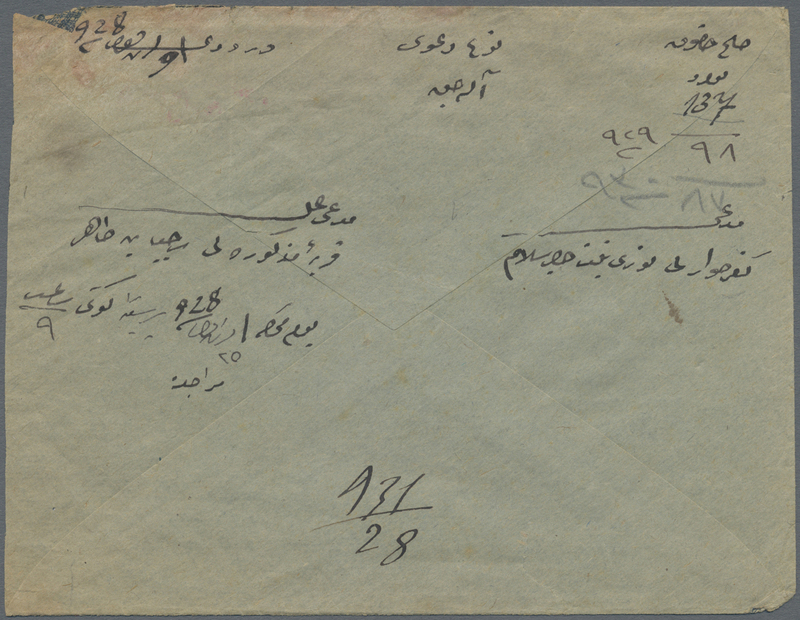 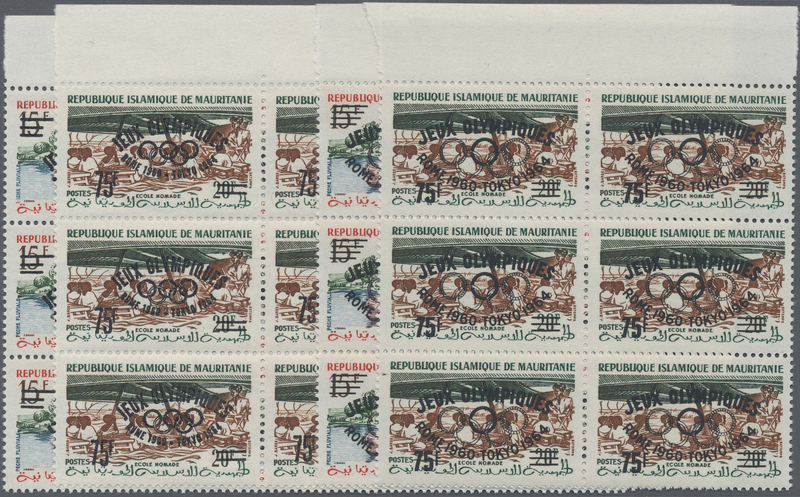 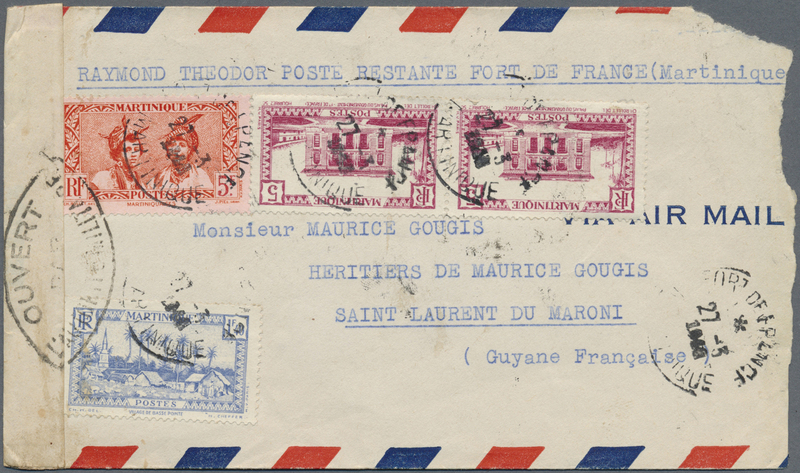 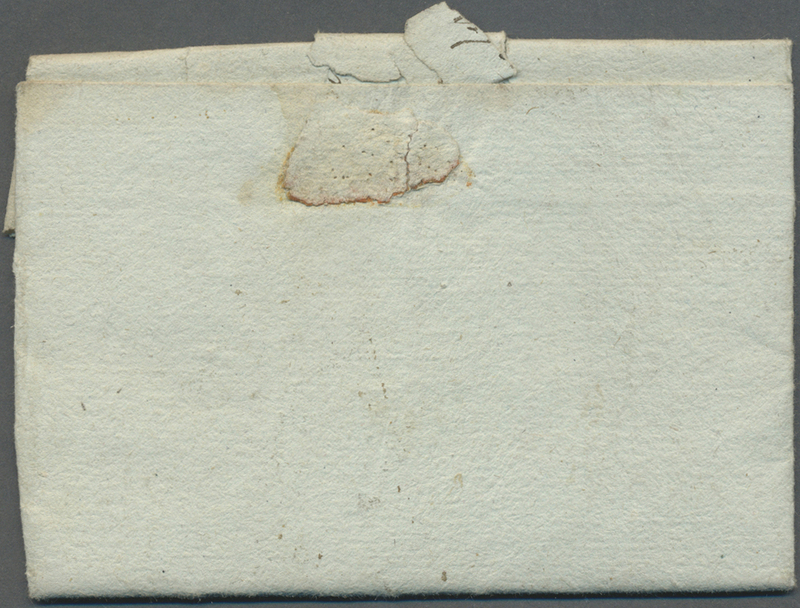 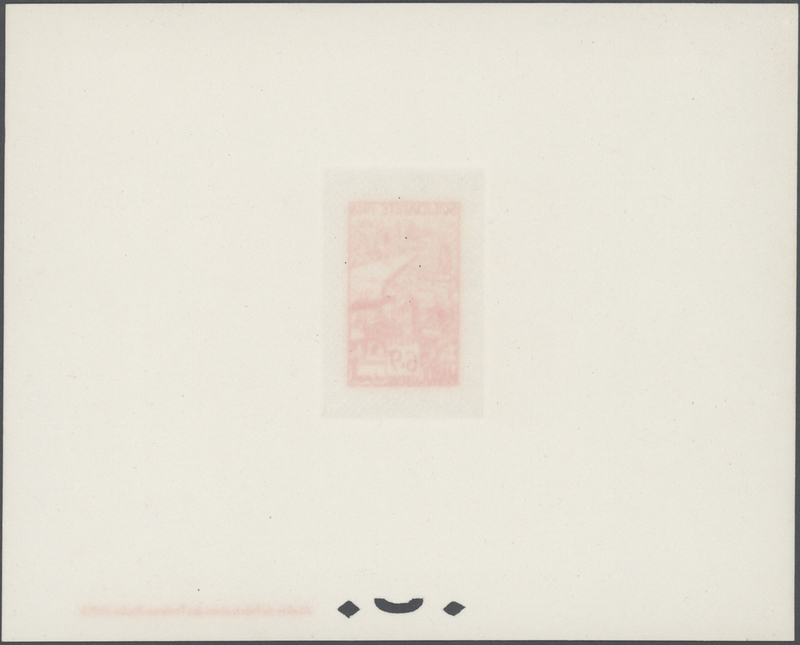 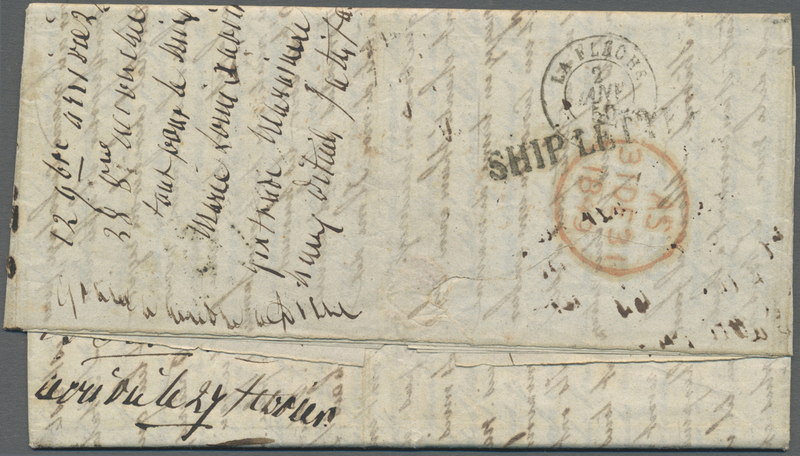 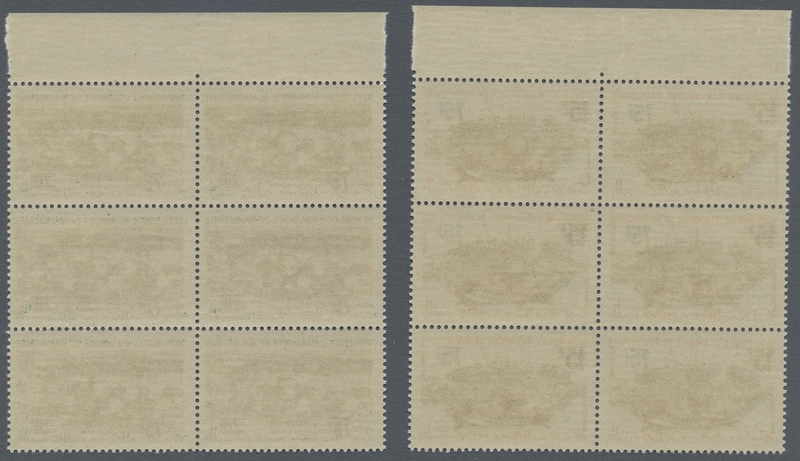 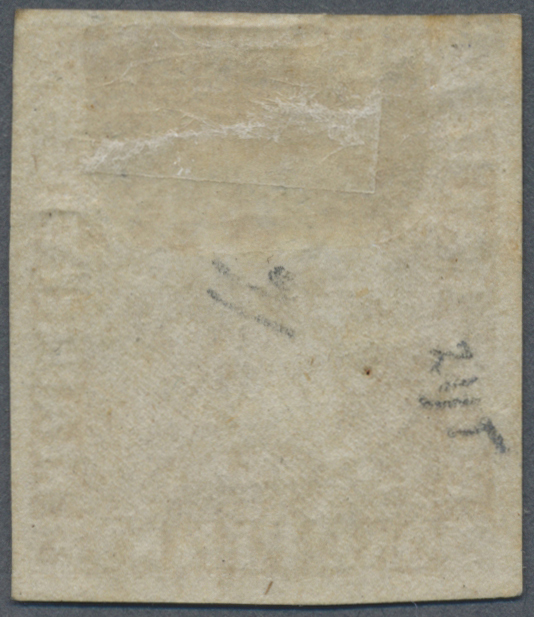 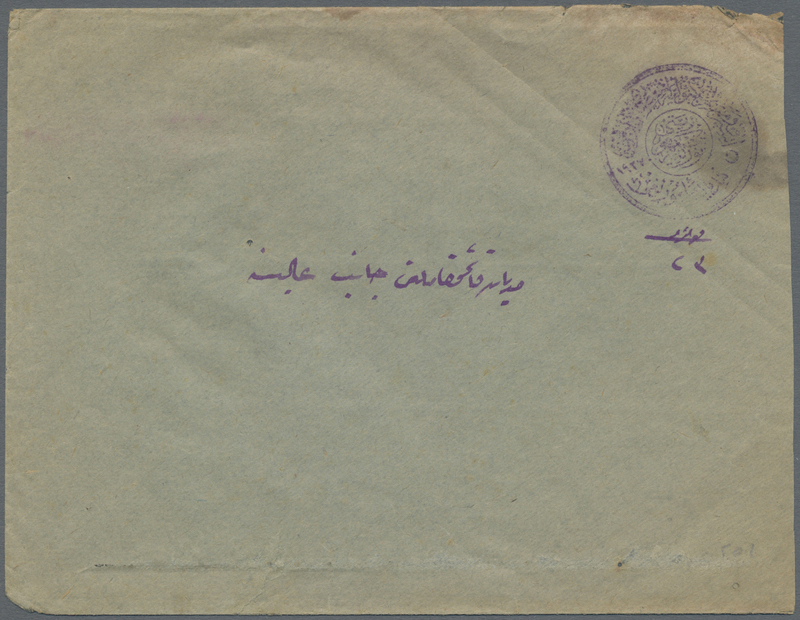 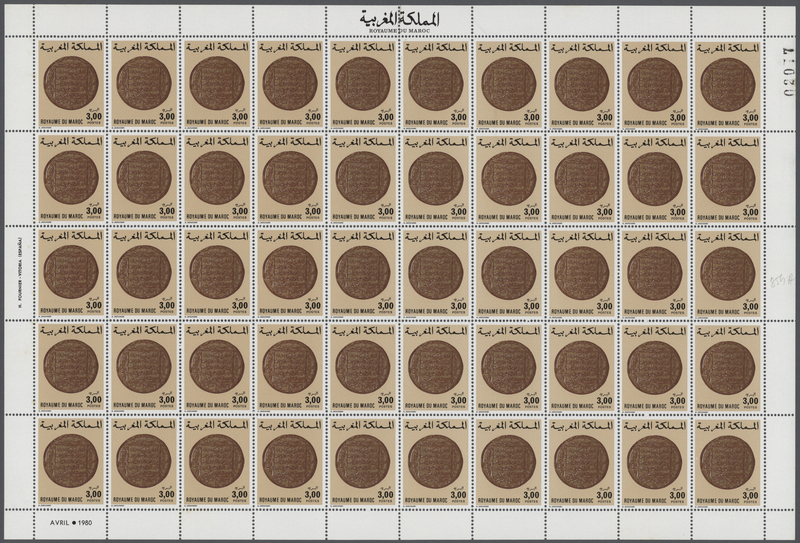 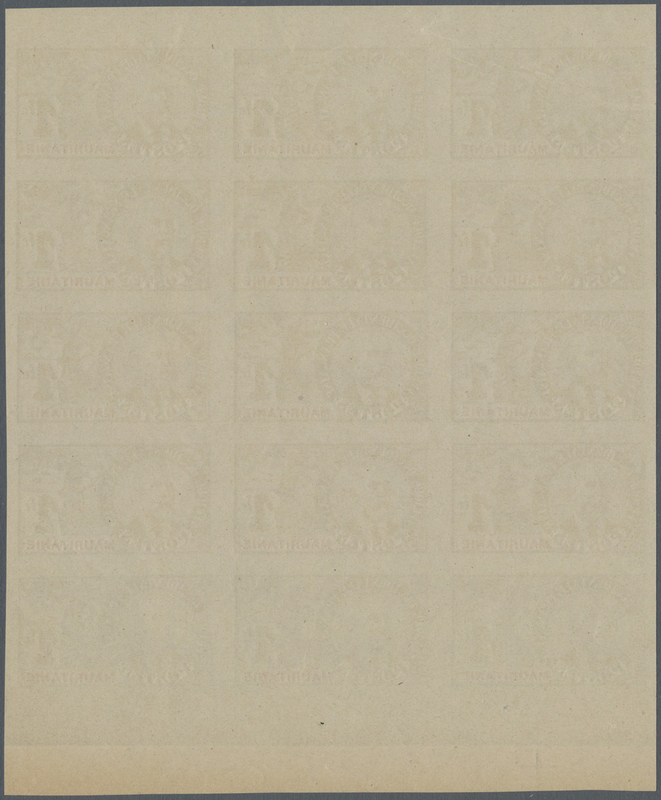 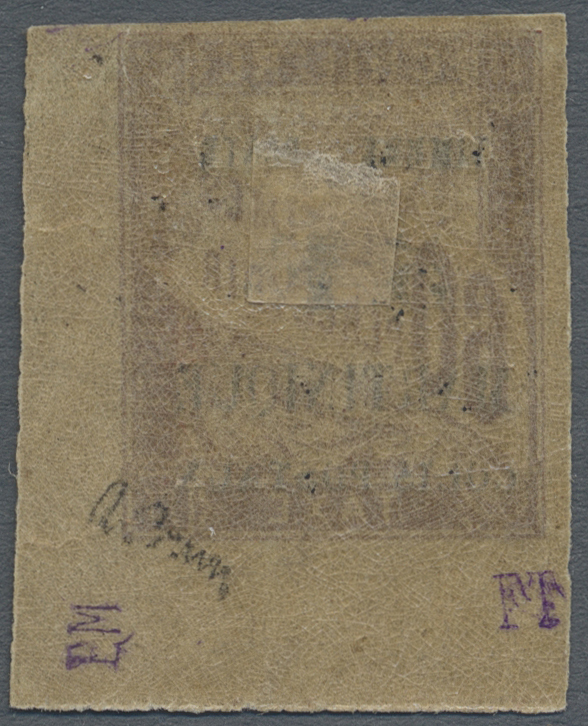 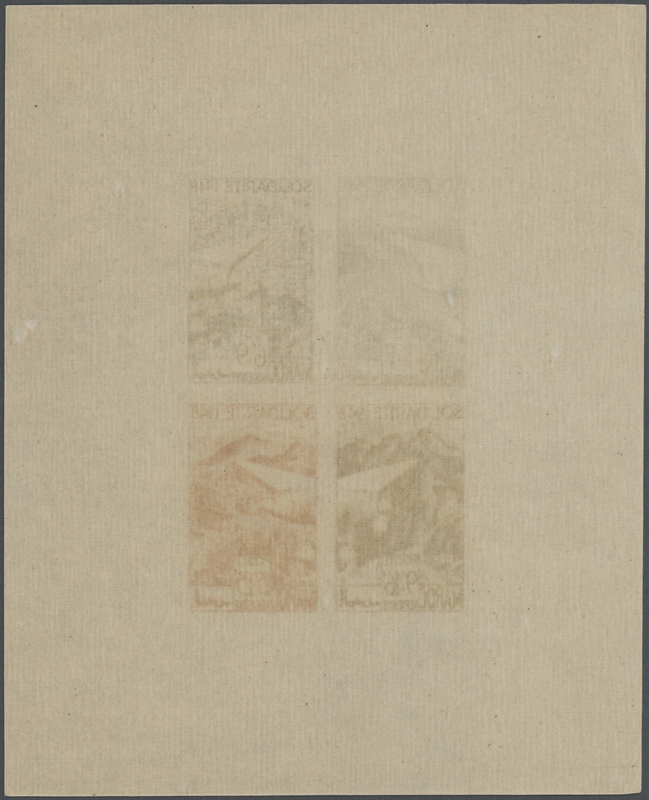 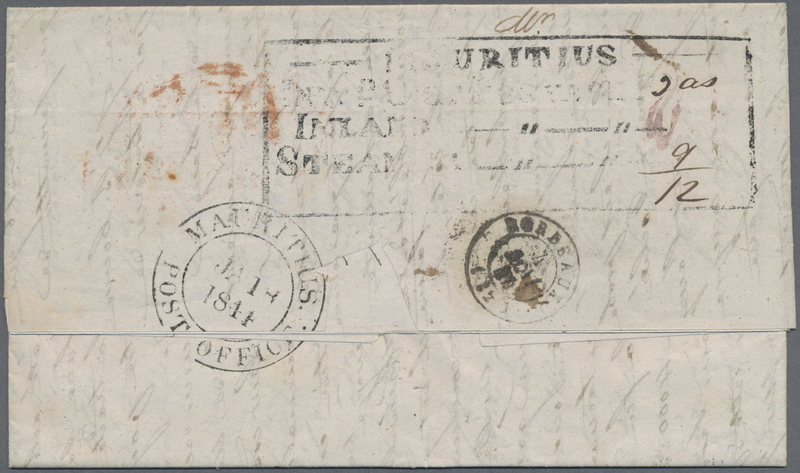 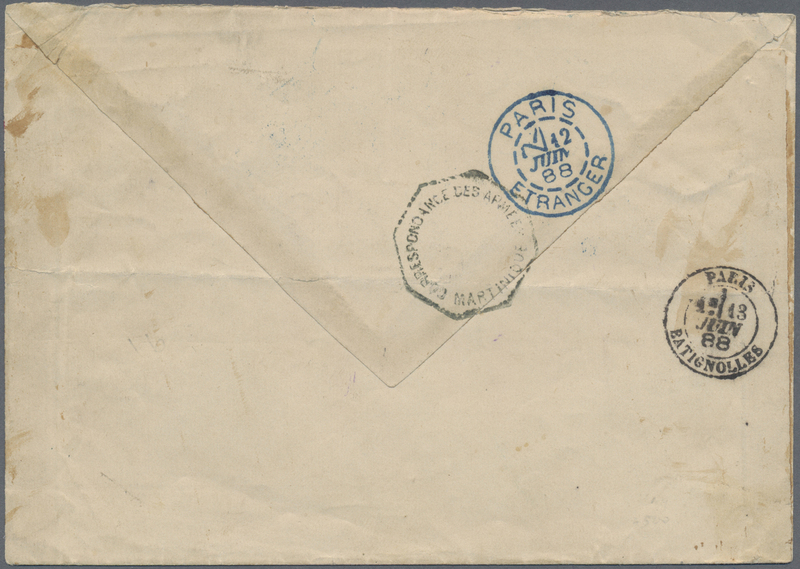 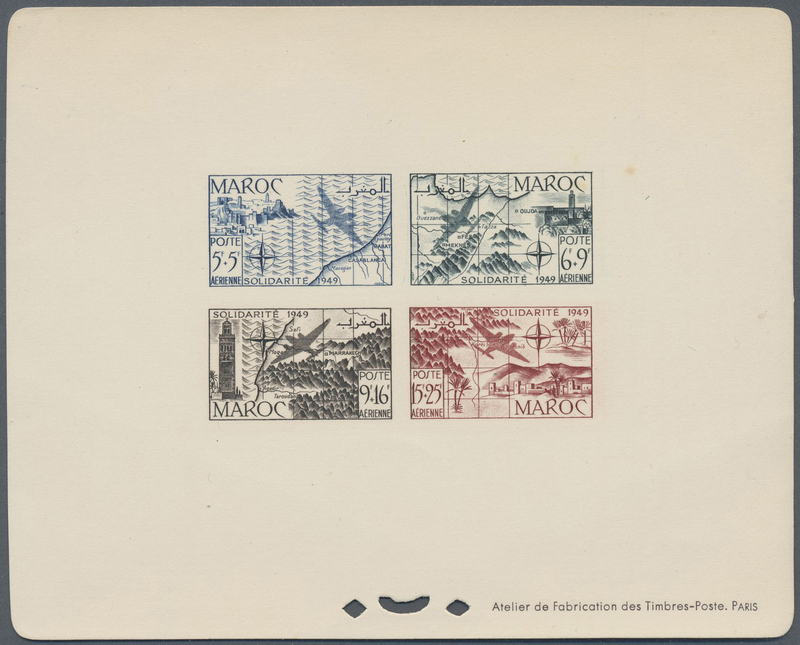 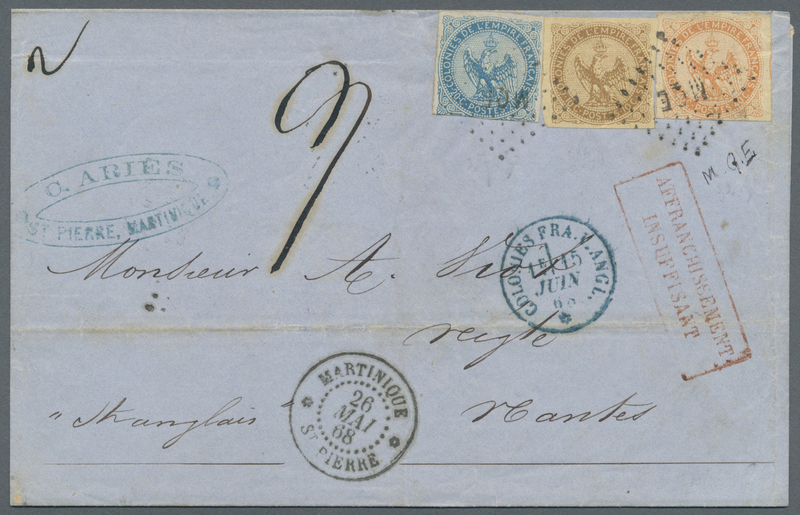 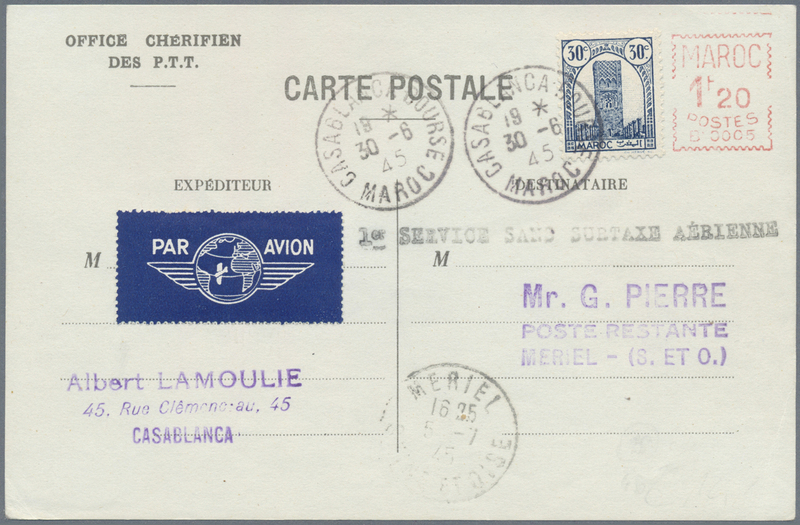 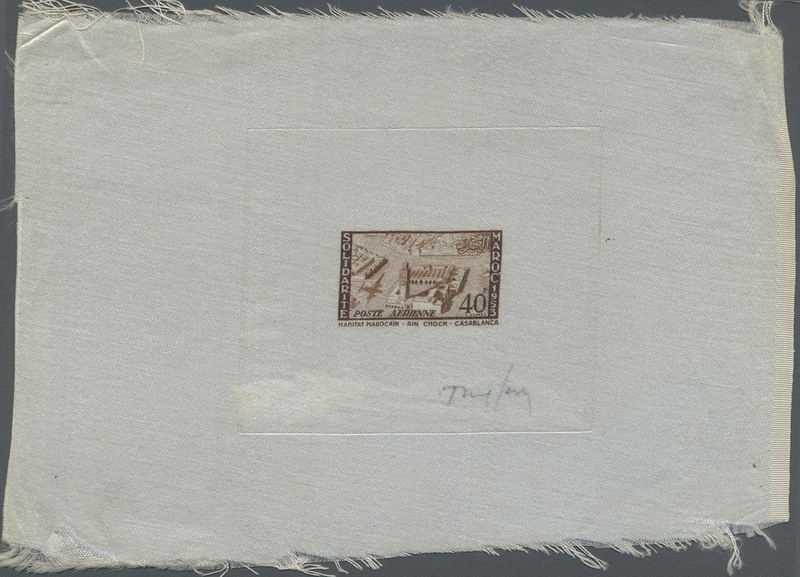 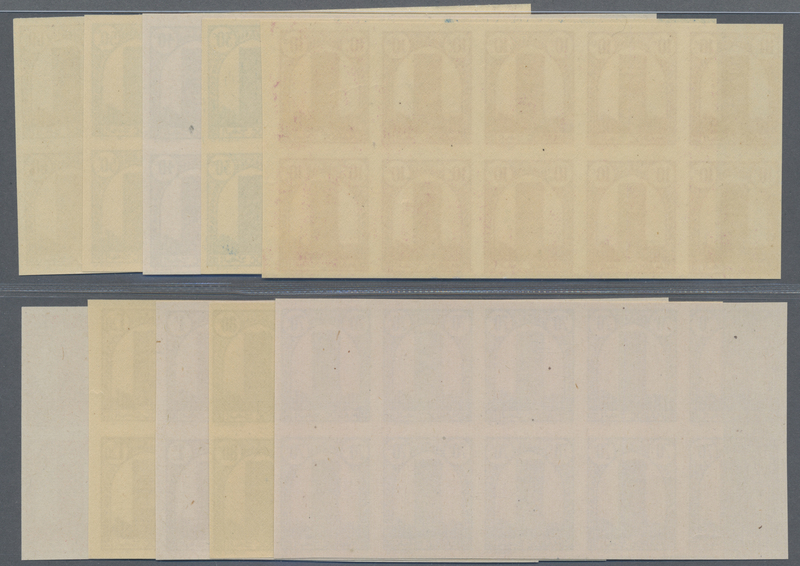 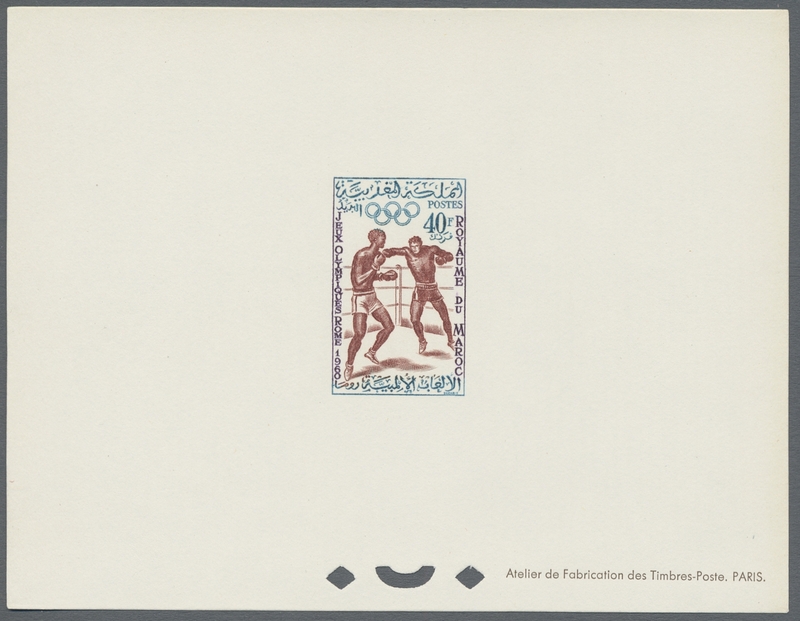 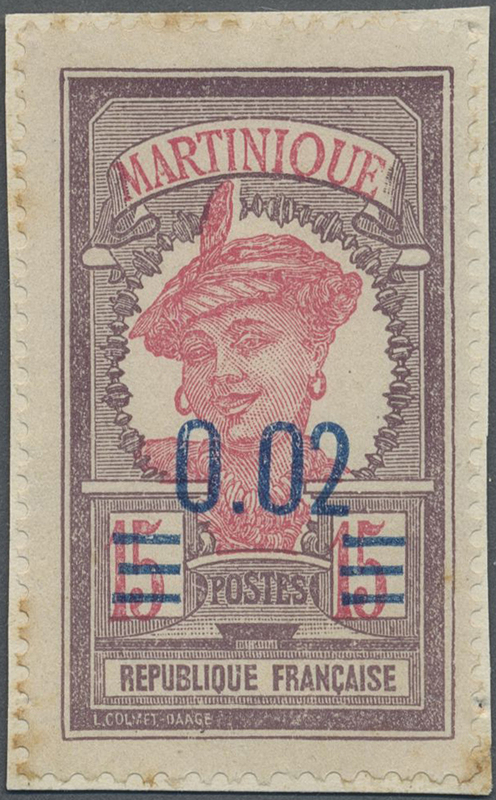 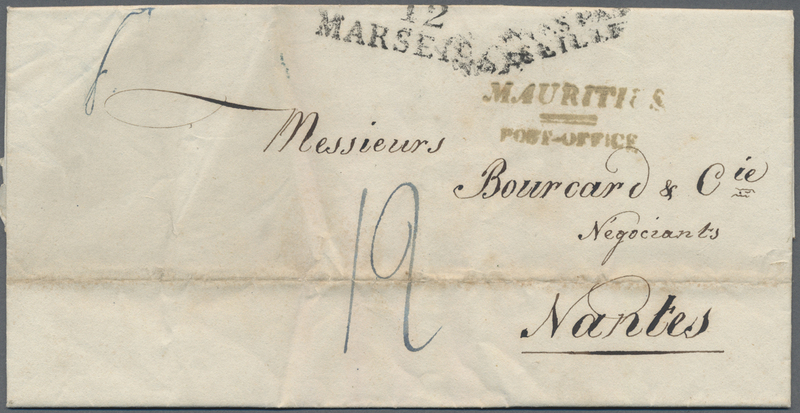 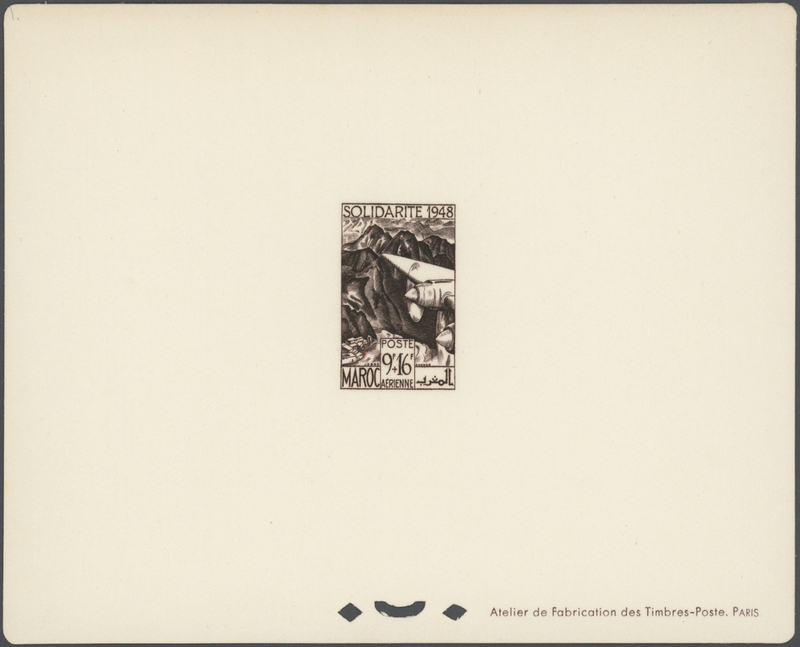 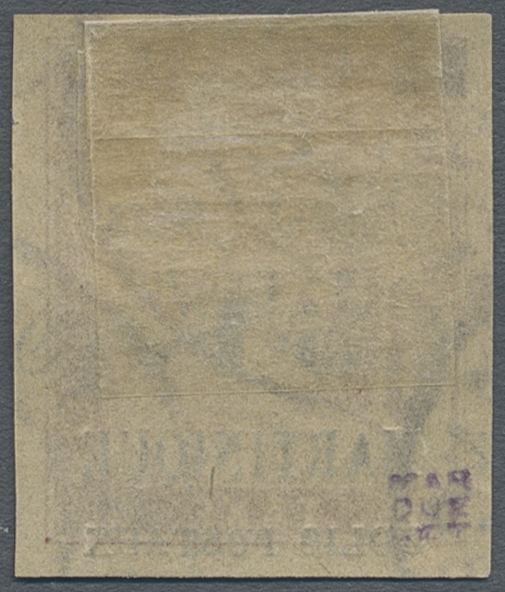 2 in slightly differing shades (numbered "No 7", "No 9", "No 13", "No 15") on gummed paper and the souvenir sheet as epreuve de luxe. 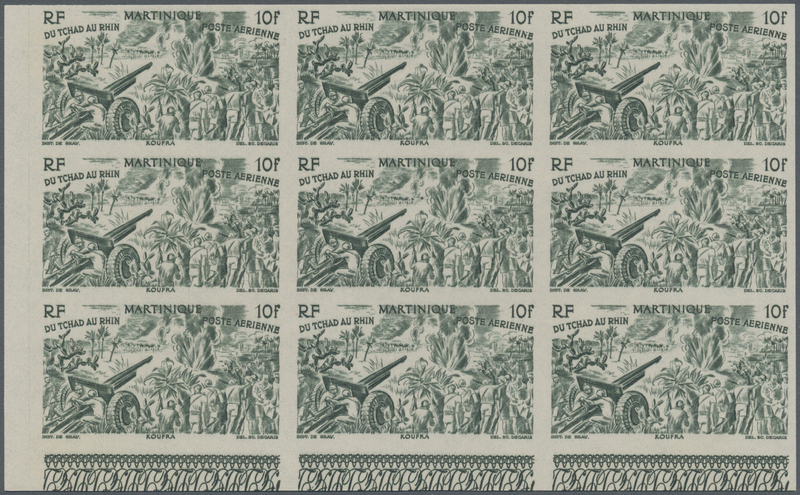 Maury PA 70/73 epreuve de luxe, BF2 colour proof (4)/epreuve de luxe. 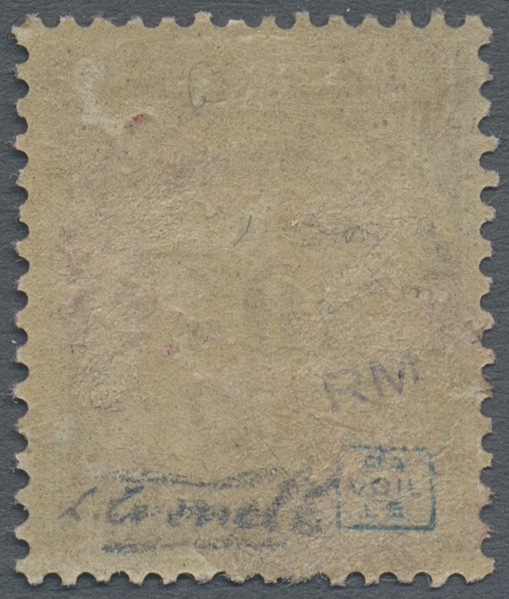 Rare and attractive!